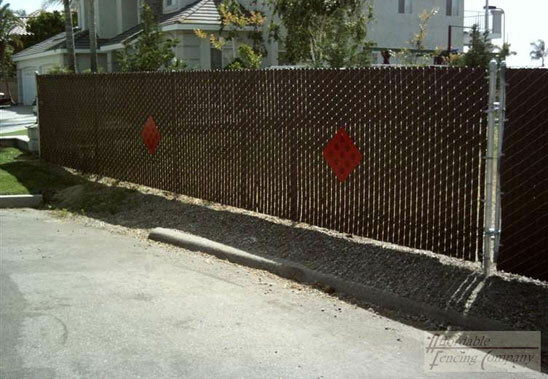 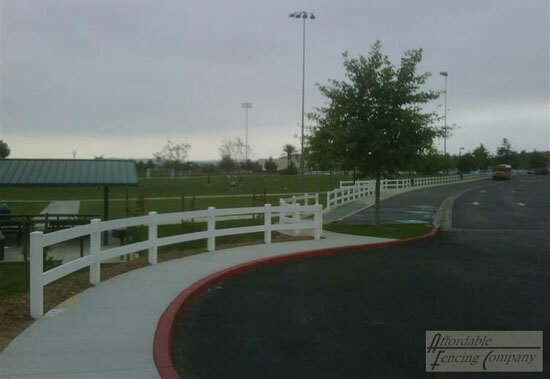 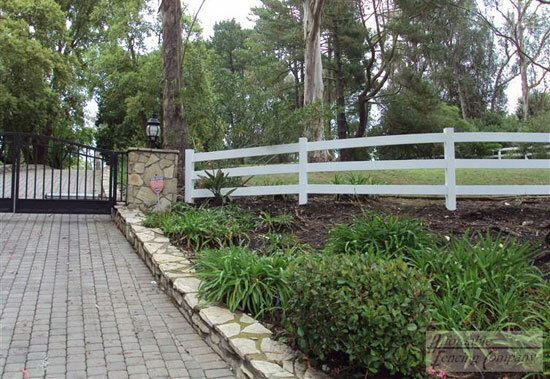 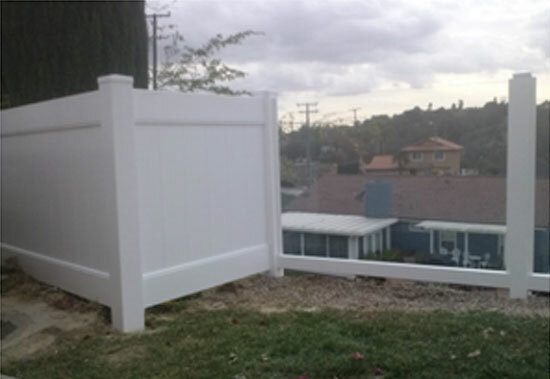 We installed this dog ear wood fence in Rancho Cucamonga, CA. 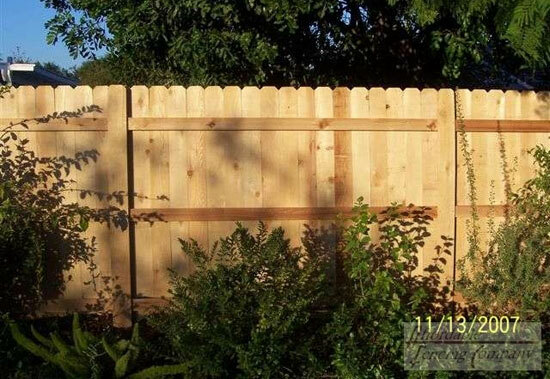 This customer wanted a wood fence for its natural and earthy feel. 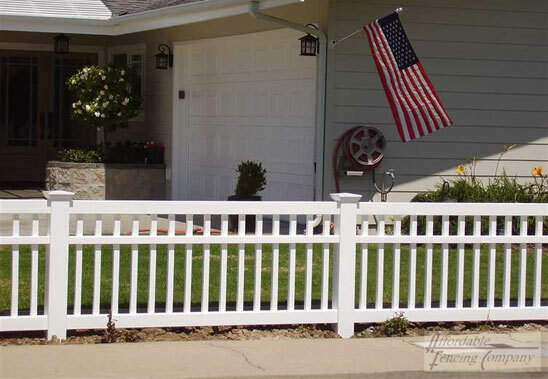 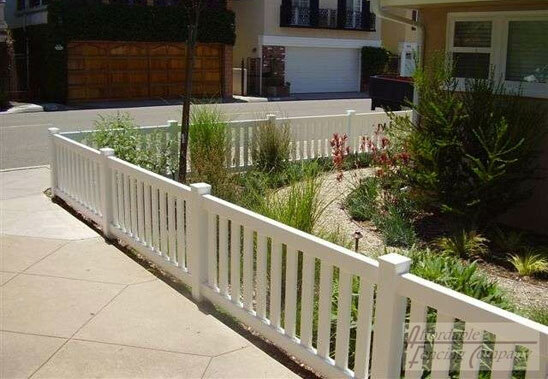 This residential fence installation in Lake Elsinore, CA features an aluminum two rail picket fence. 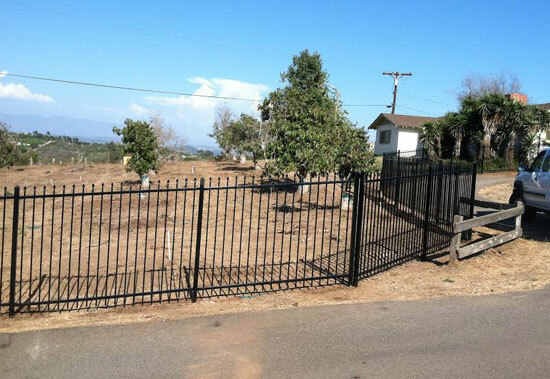 The homeowner wanted a fence to separate his property from his neighbor's land. 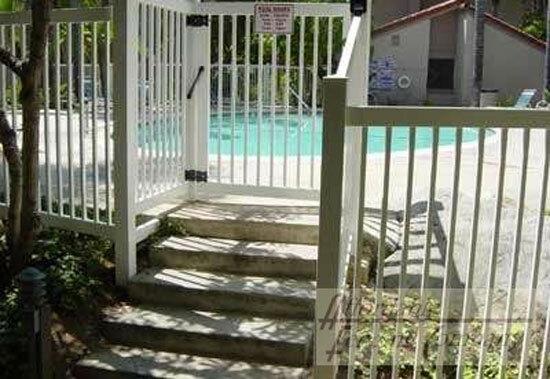 This is a residential handrail installation in Rancho Cucamonga, CA. 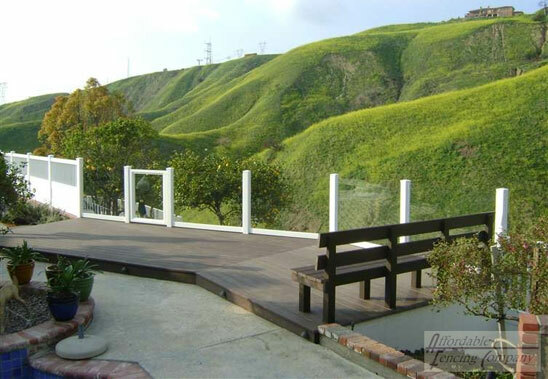 This client's home is on a hill will multiple levels. 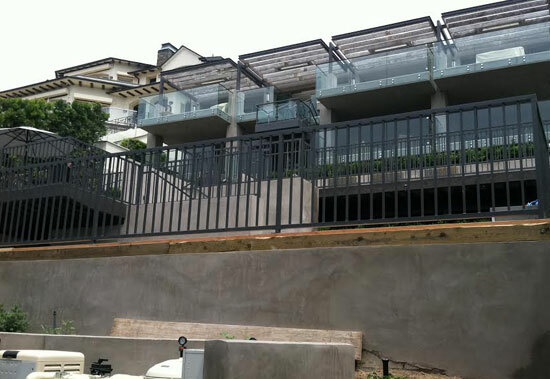 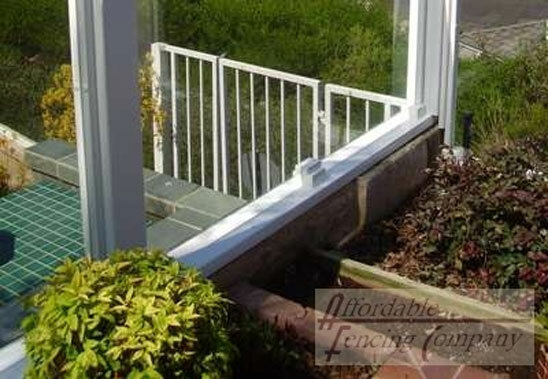 The black aluminum handrail was installed for child safety purposes. 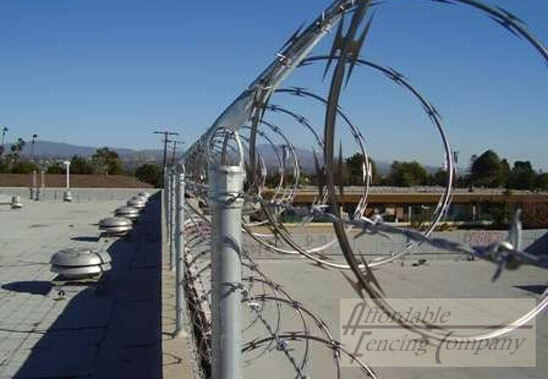 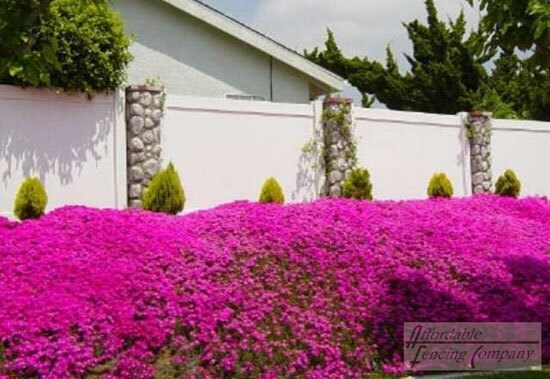 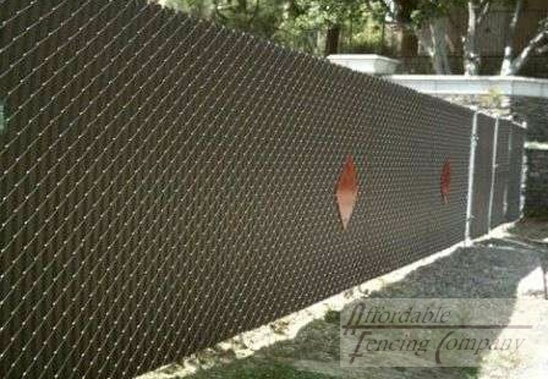 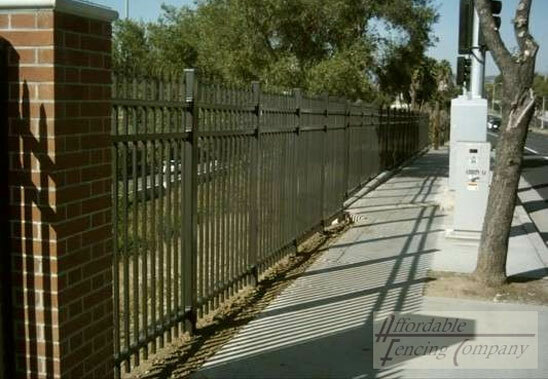 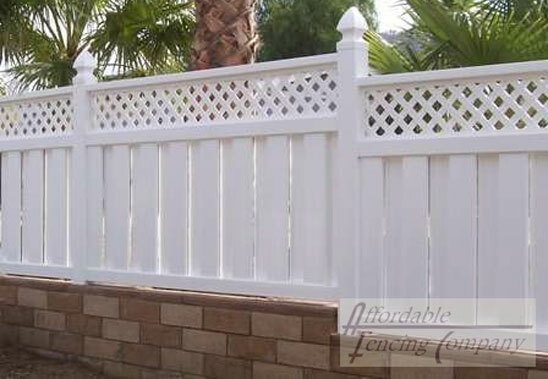 Affordable Fencing installed this residential wall topper in Lake Elsinore, CA. 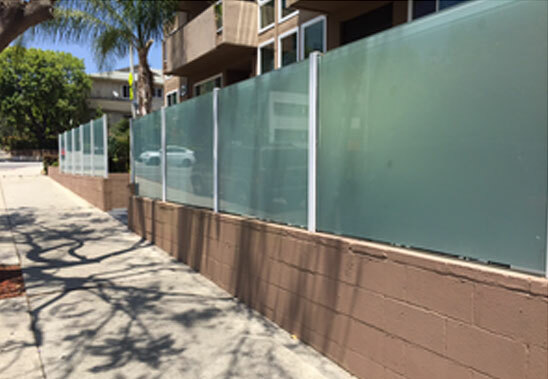 A frosted glass wall topper was chosen by a client who wanted privacy but loved the look of glass. This is an almond privacy vinyl fence installed in Lake Elsinore, CA. 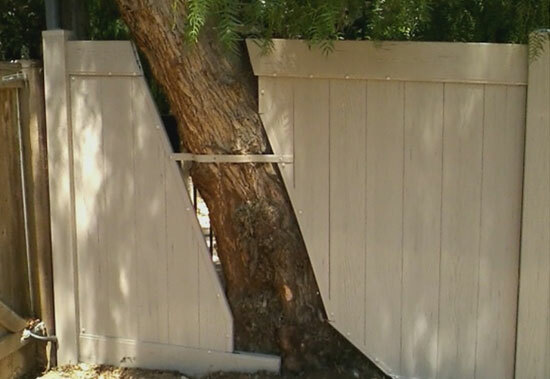 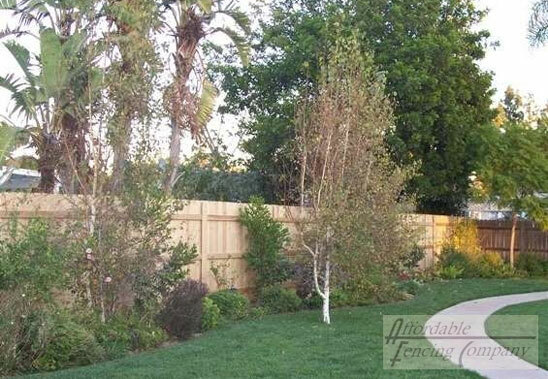 This customer specifically needed their fence in a certain area and wanted to keep a tree in their yard, so we found a way to make the tree part of the fence. 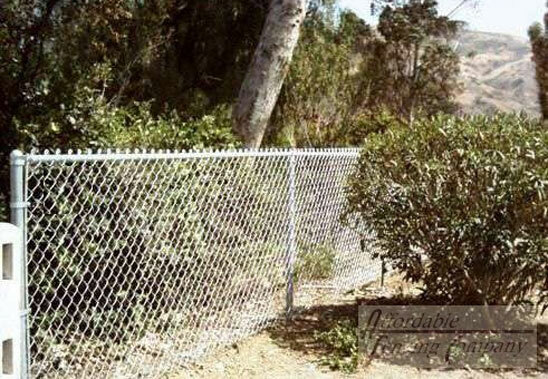 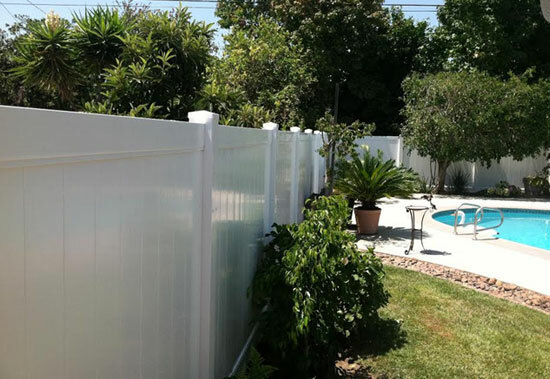 Affordable Fencing installed this vinyl semi privacy trash enclosure in Lake Elsinore, CA for a homeowner who wanted to improve the appearance of their property's trash area. 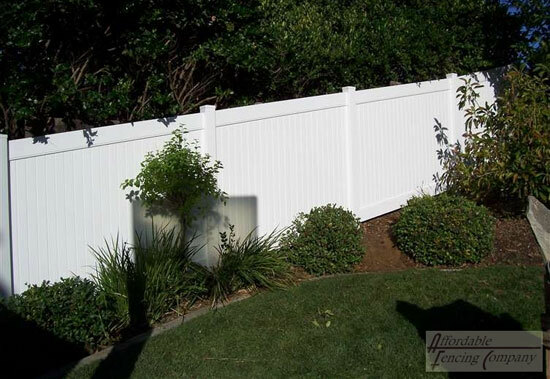 The almond color of the vinyl was chosen to match the color of their trash can. 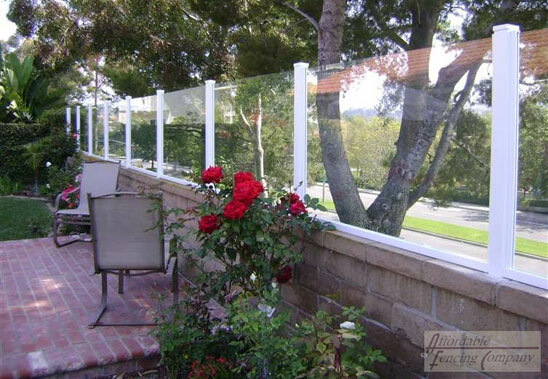 We installed this glass and vinyl wall topper in Rancho Cucamonga, CA. 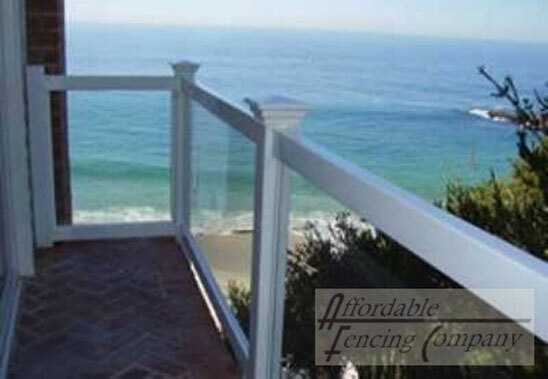 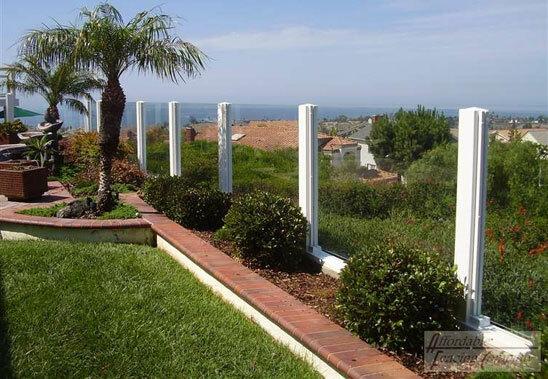 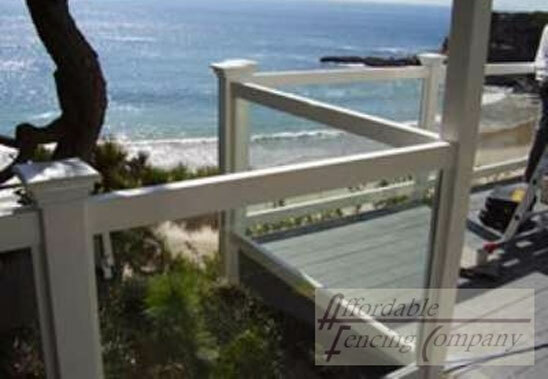 This client wanted vinyl fencing in their backyard, but wanted to keep their gorgeous view. 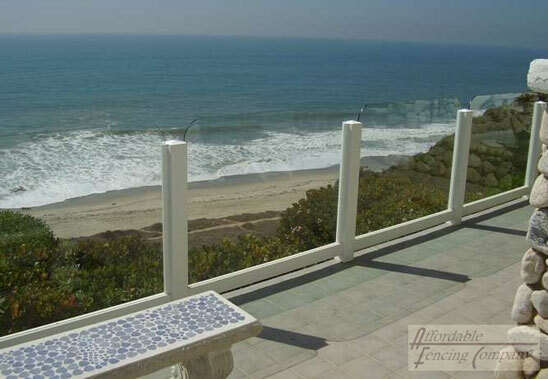 By adding a glass wall topper, we kept the view and created the vinyl fence they wanted. 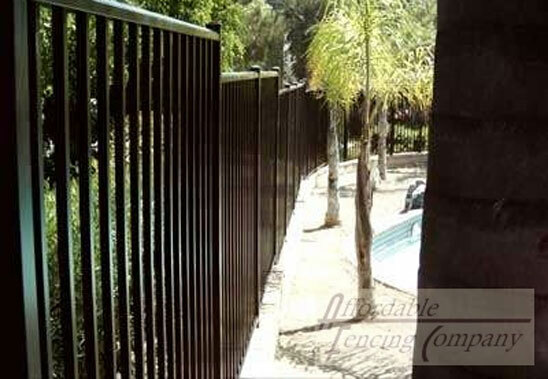 We installed this residential privacy pool fence in Lake Elsinore, CA for a homeowner who wanted to make their backyard completely private. 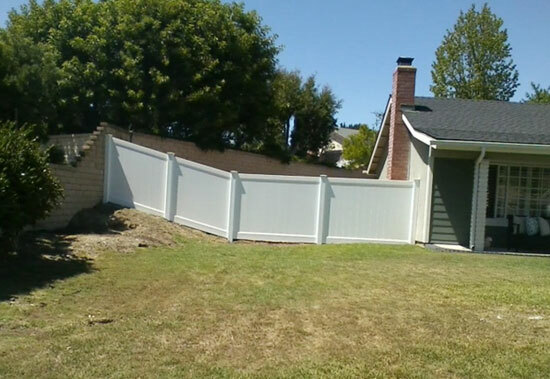 They chose two different colors of vinyl so their fence would stand out. 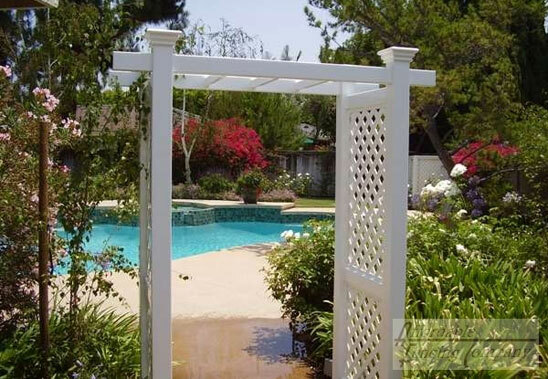 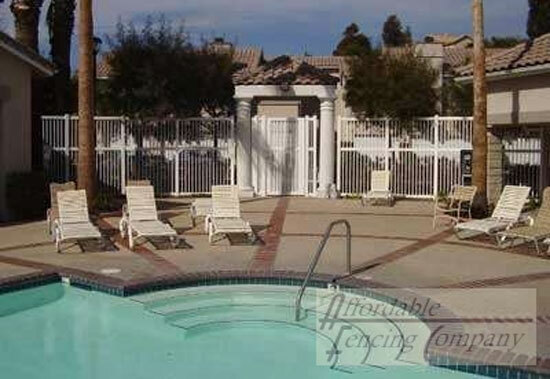 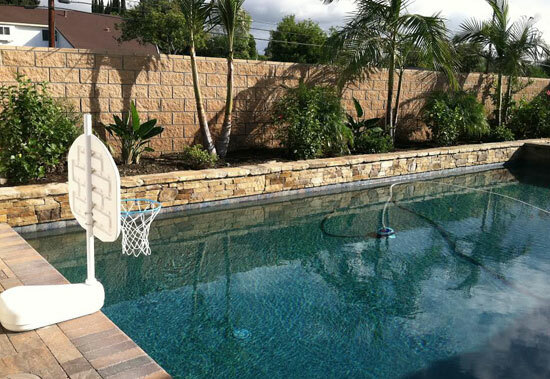 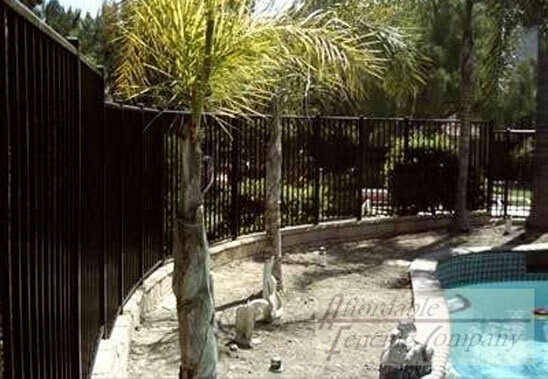 This residential pool fence installation in Rancho Cucamonga, CA features a block wall pool fence. 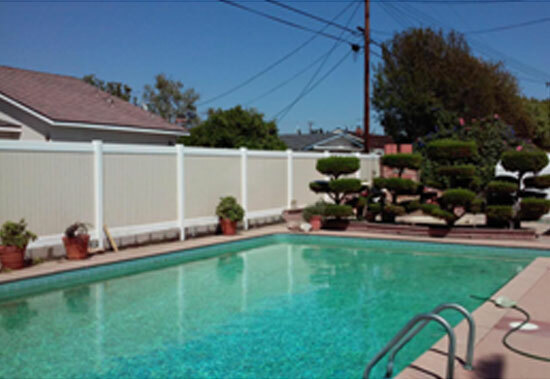 This customer chose this block wall style because it perfectly matched the rest of the pool area. 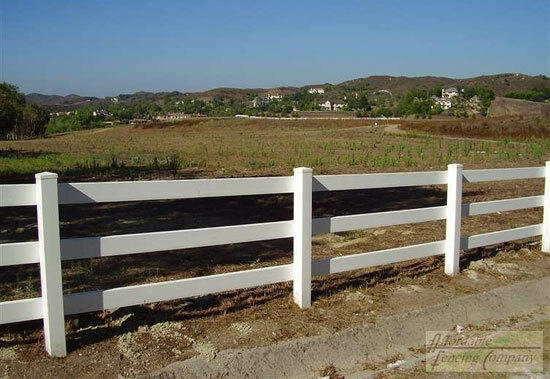 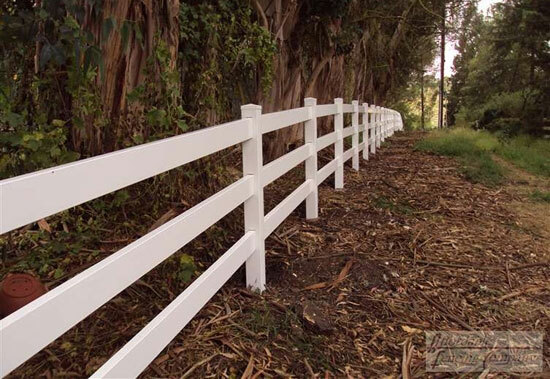 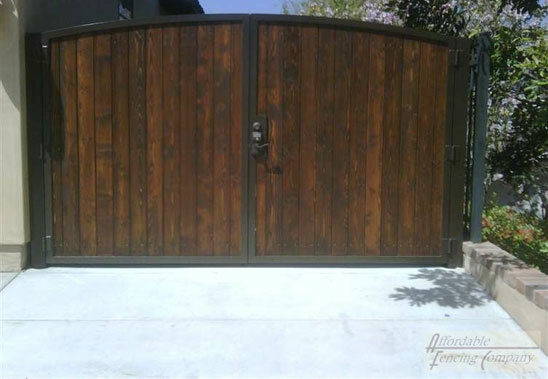 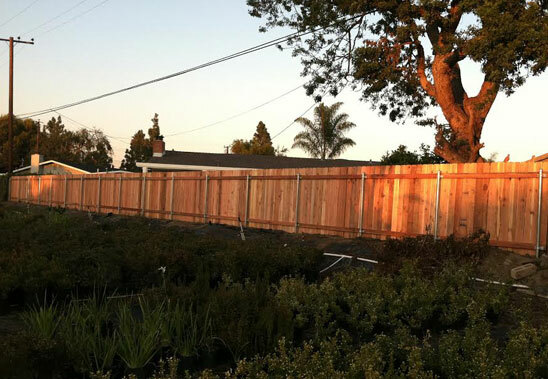 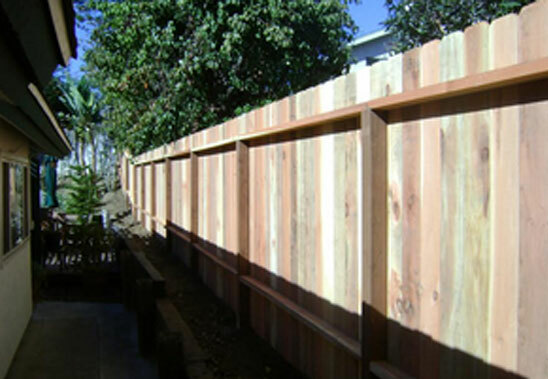 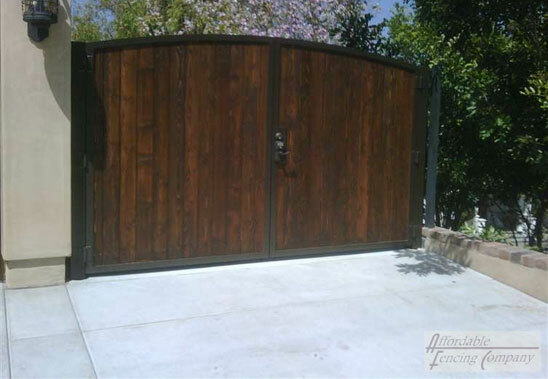 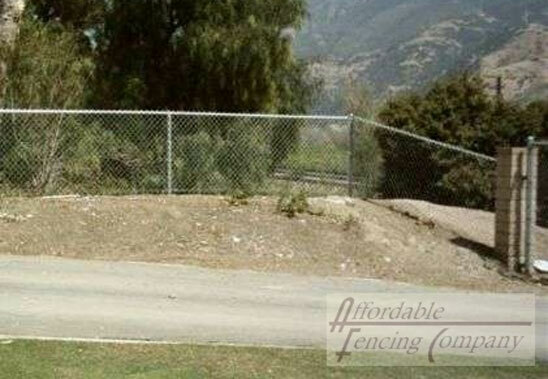 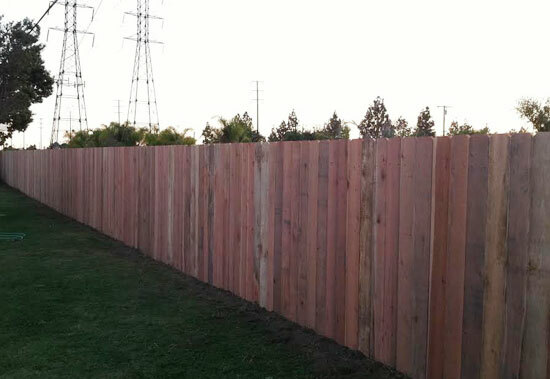 Affordable Fencing installed this residential wood fence in Rancho Cucamonga, CA. 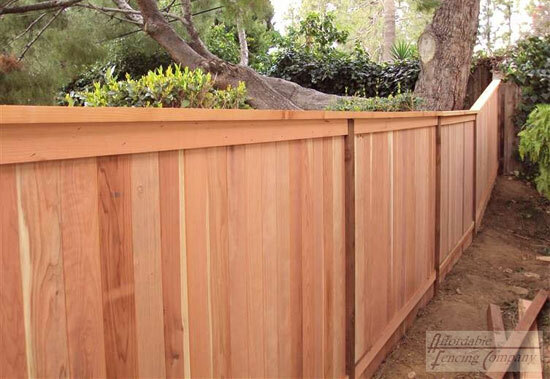 The dog ear wood fence is almost a complete privacy fence except for the small gaps that form in between the boards over time. 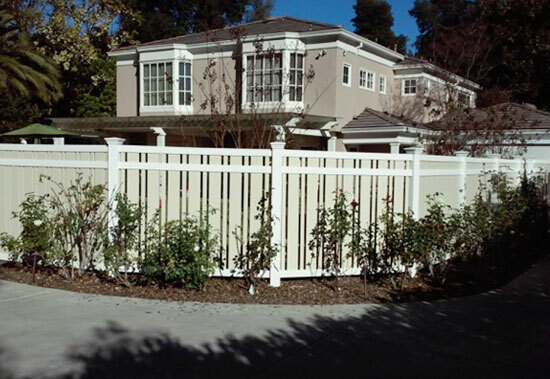 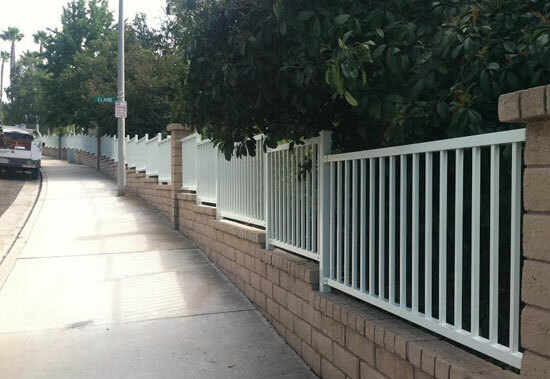 This residential fence installation in Rancho Cucamonga, CA features an aluminum three rail picket fence. 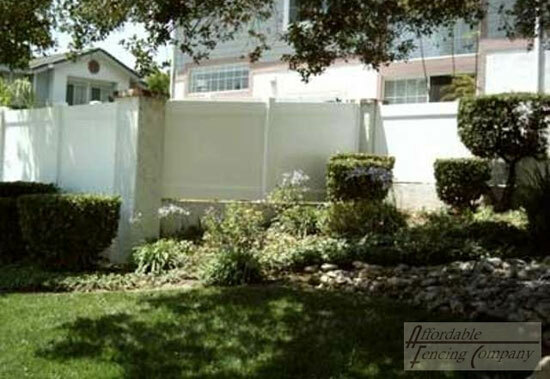 The fence provides a property barrier between neighbors as well as an unobstructed view. 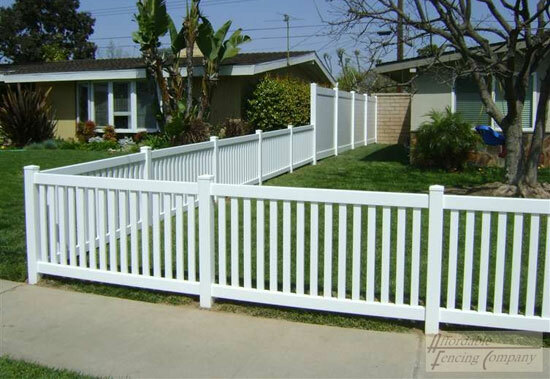 We installed this vinyl Malibu fence with pickets in Rancho Cucamonga, CA. 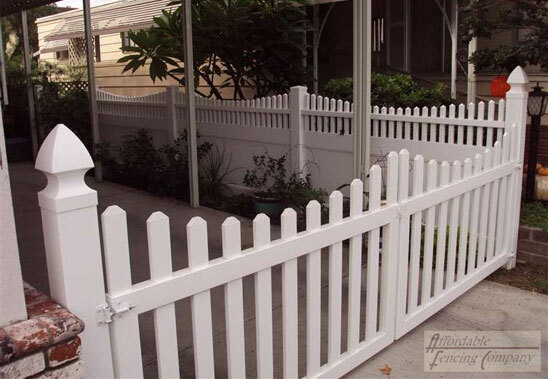 This customer's street always has a lot of traffic so she wanted a fence to make sure her kids were safe when they played in the front yard. 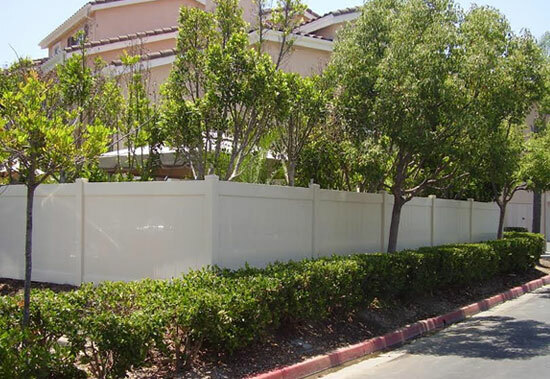 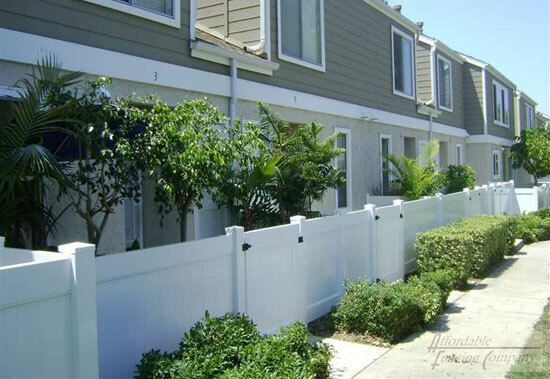 Affordable Fencing completed this vinyl fence installation for the city of Rancho Cucamonga, CA. 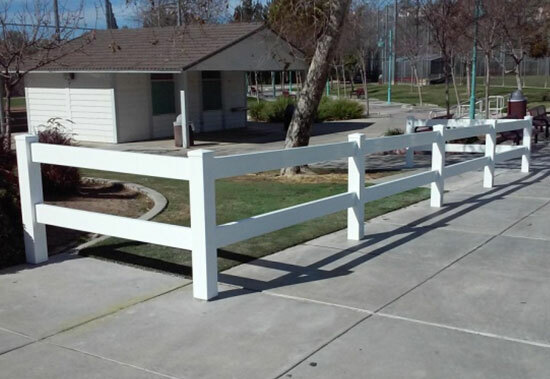 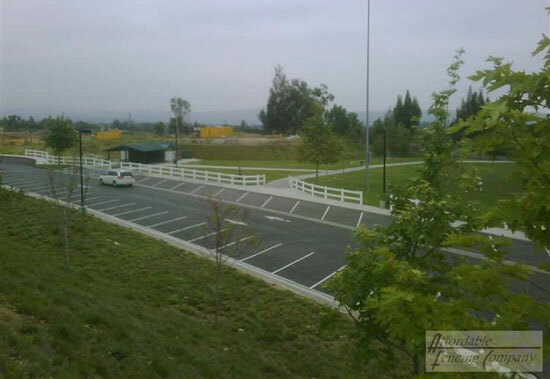 The city wanted to add vinyl ranch style railing to certain areas of a community park to create walkways for park visitors. 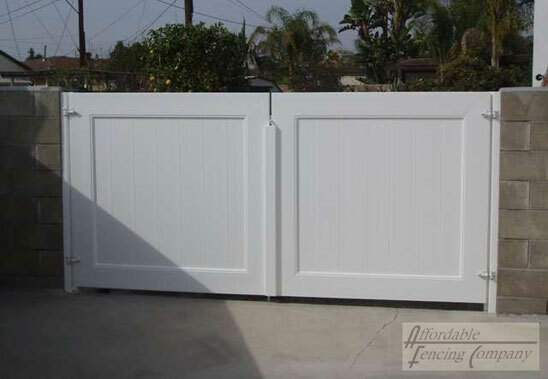 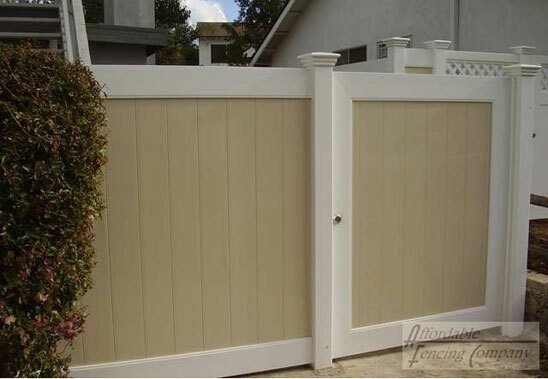 This customer decided on a classic vinyl privacy fence for their backyard in Riverside, CA. 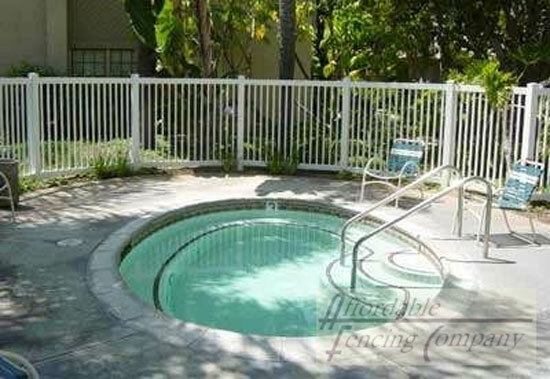 The new vinyl fence will add complete privacy to their pool area. 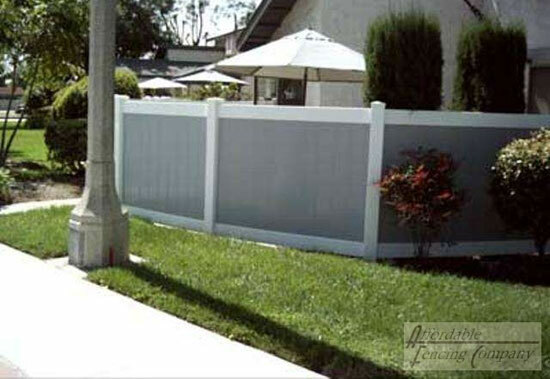 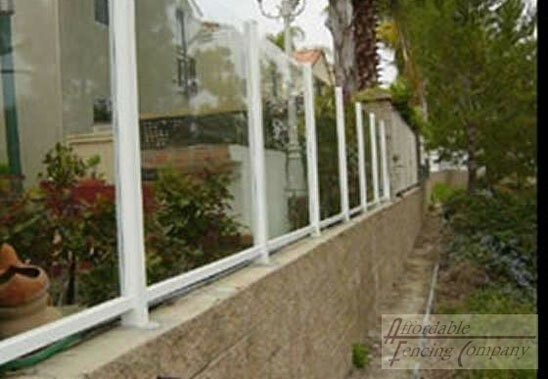 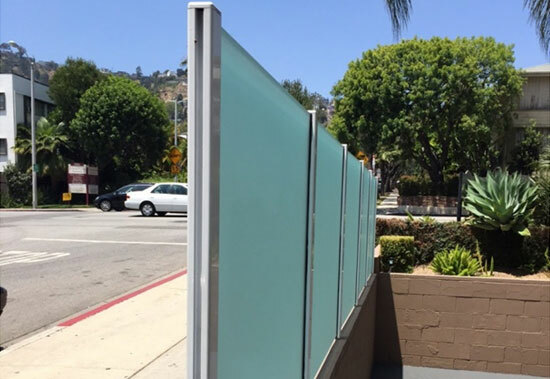 We installed this residential glass and vinyl fence in Riverside, CA. 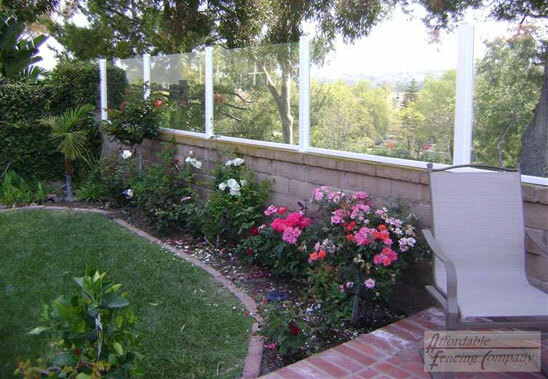 This client wanted a simple and clear glass fence that would appear to not be there. 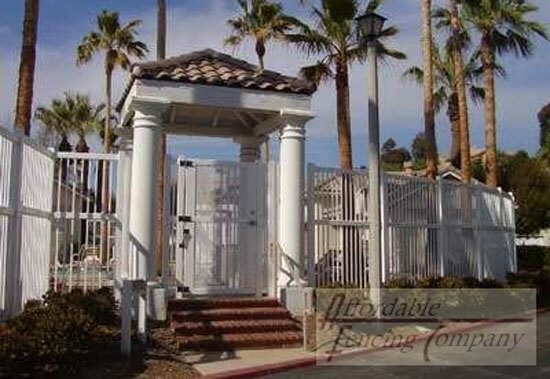 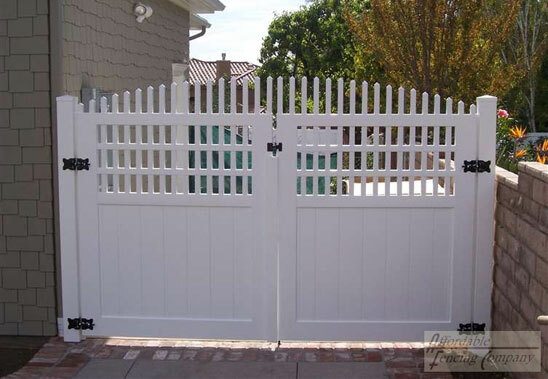 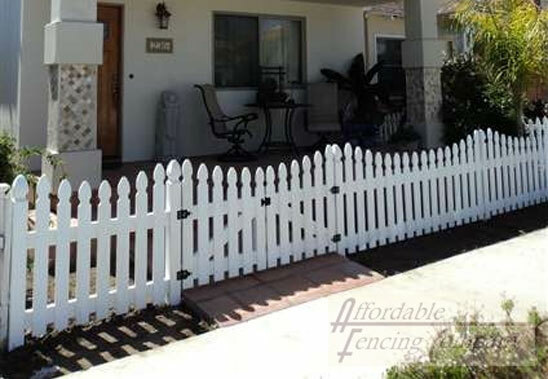 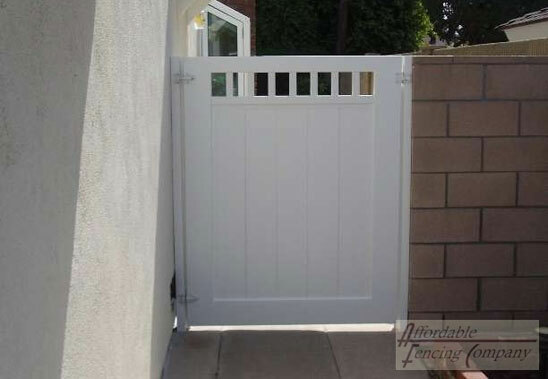 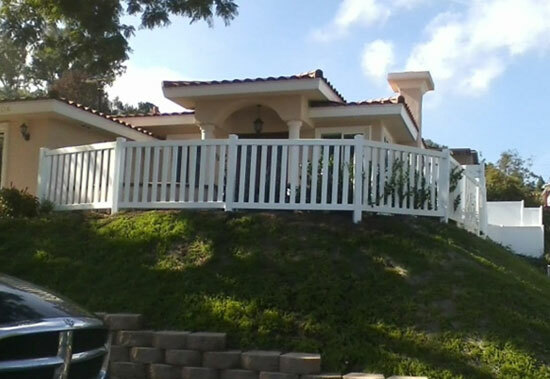 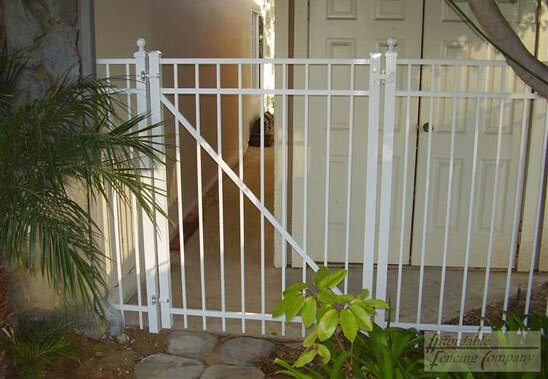 This residential wall topper installation in Riverside, CA features a classic white aluminum fence. 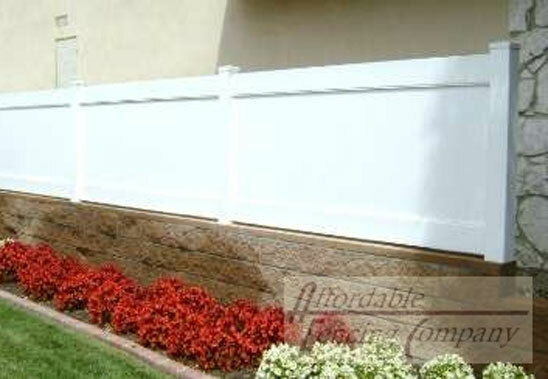 The customer wanted a simple wall topper to complete their block wall. 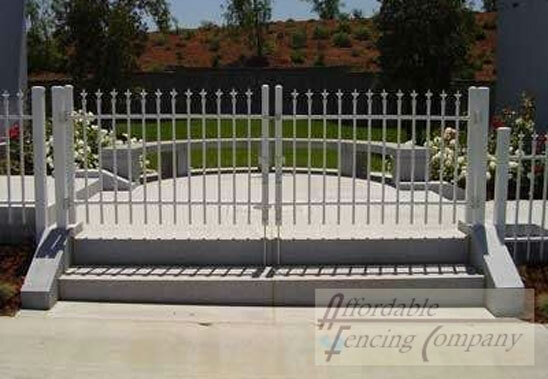 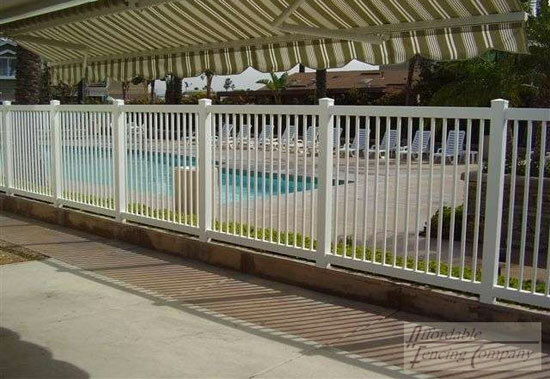 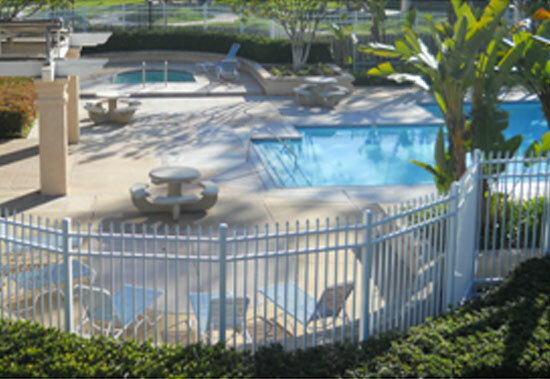 This community association in Riverside, CA installed an aluminum three rail picket pool fence so that their pool area would be in compliance with the pool safety regulations. 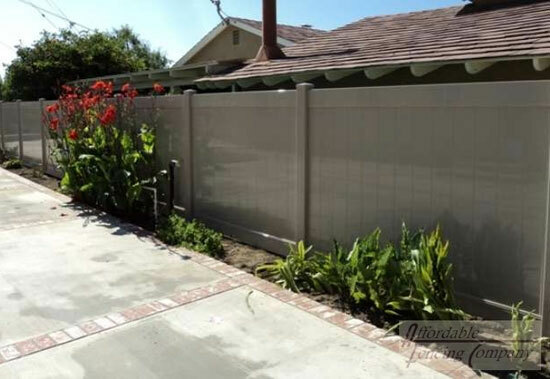 This client in Riverside, CA chose a vinyl Kensington semi privacy fence, a semi-privacy and privacy fence mixture, to complement their front yard. 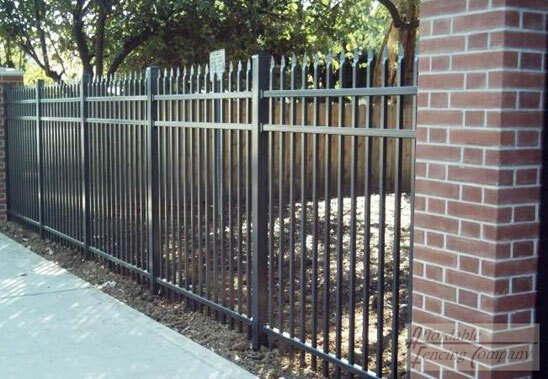 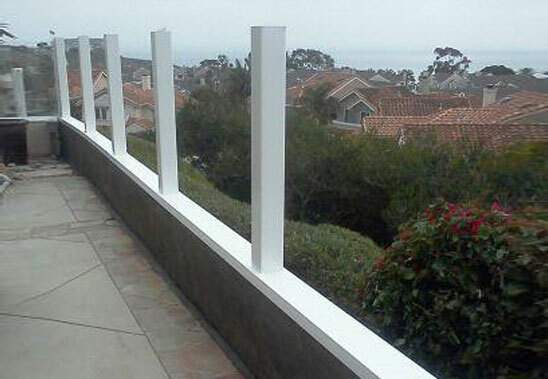 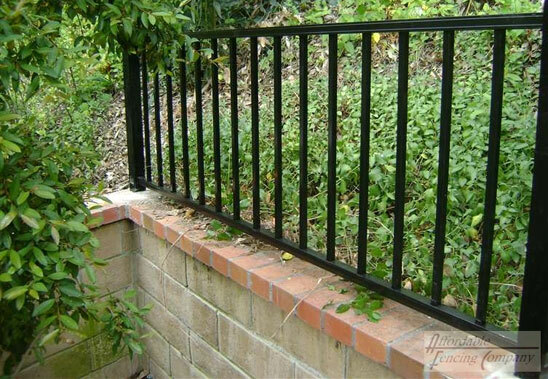 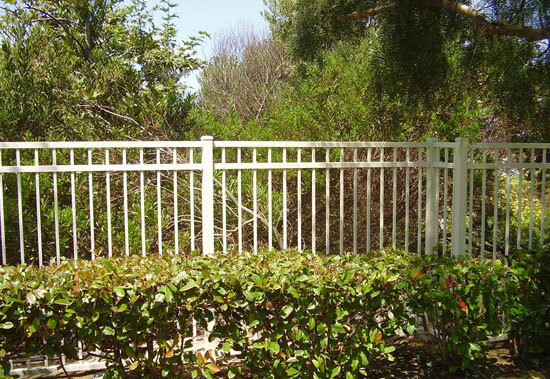 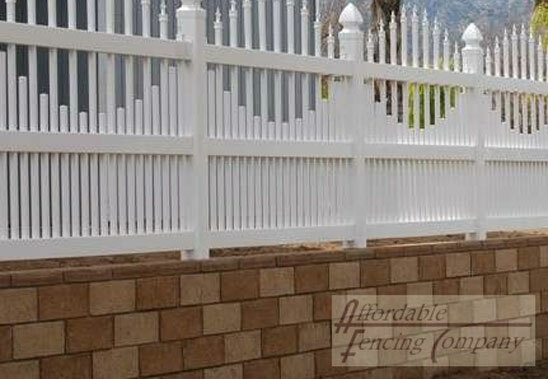 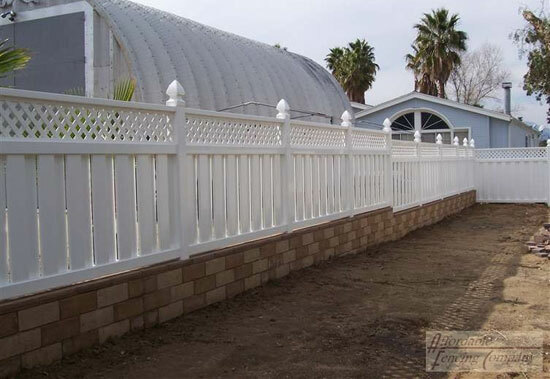 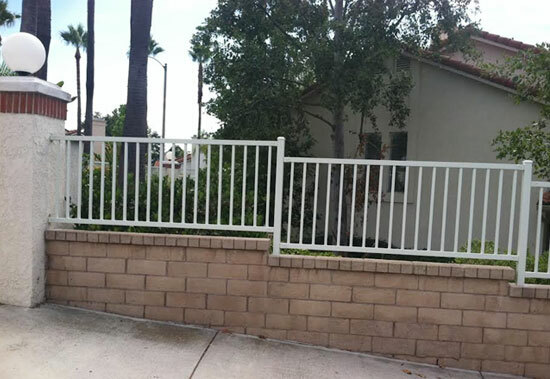 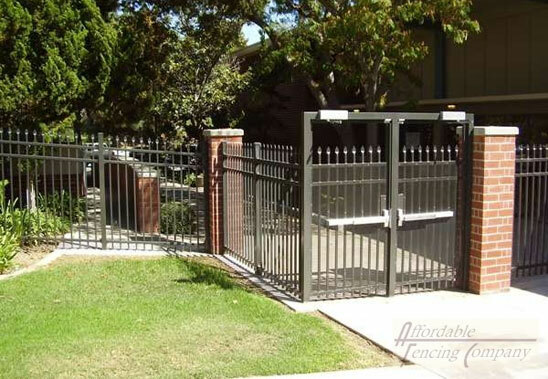 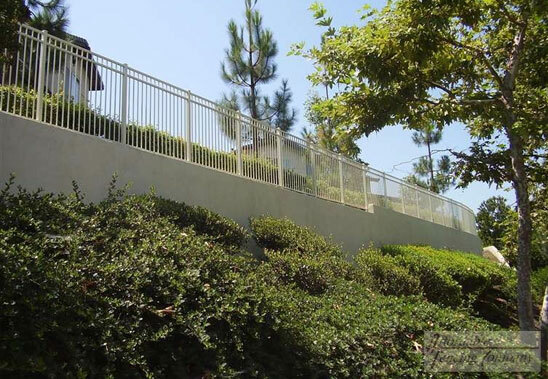 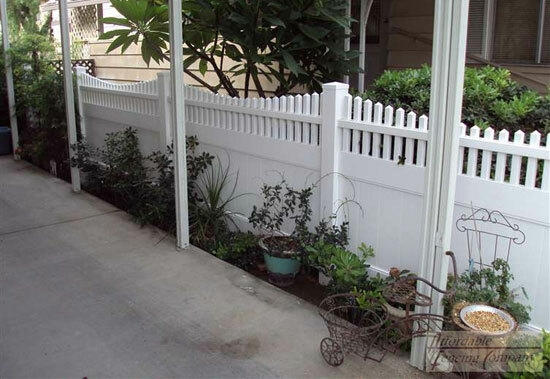 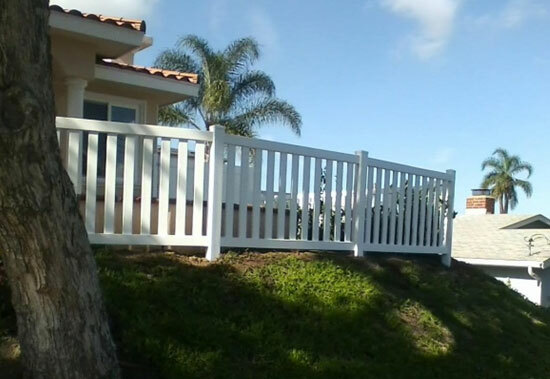 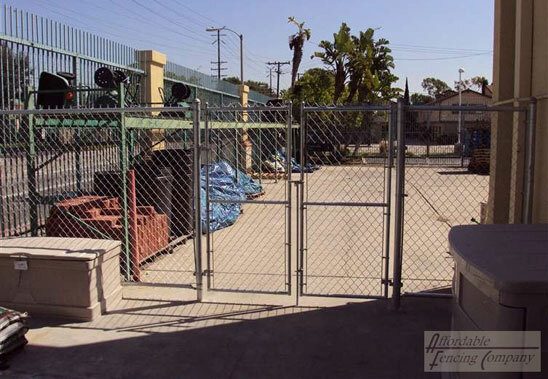 This residential fence installation in Riverside, CA features an aluminum two rail picket wall topper. 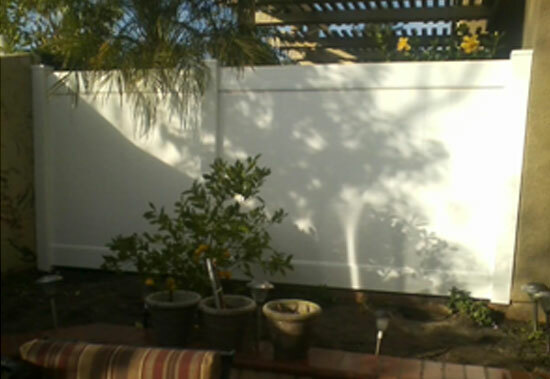 This customer wanted a simple wall topper to complete their block wall. 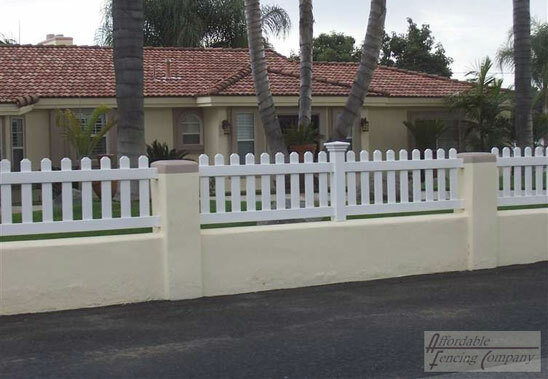 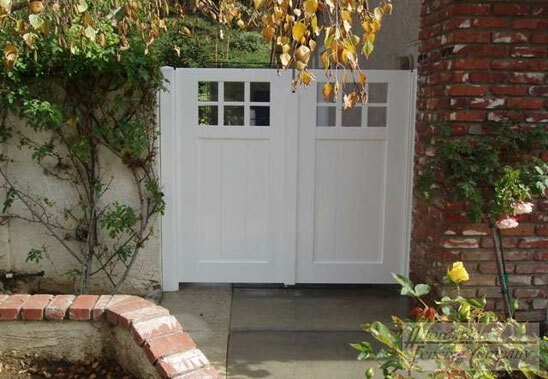 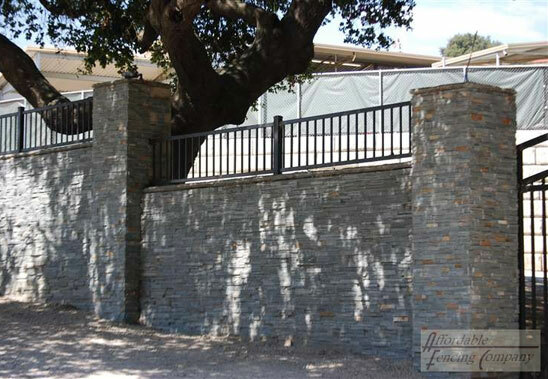 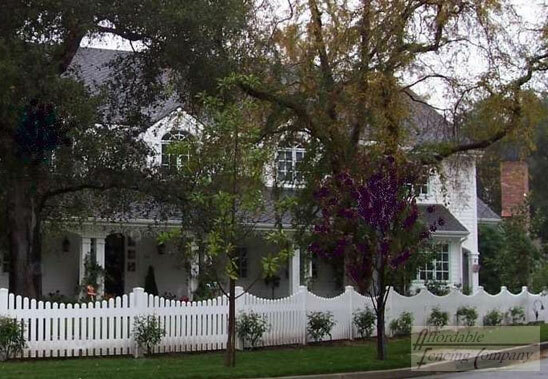 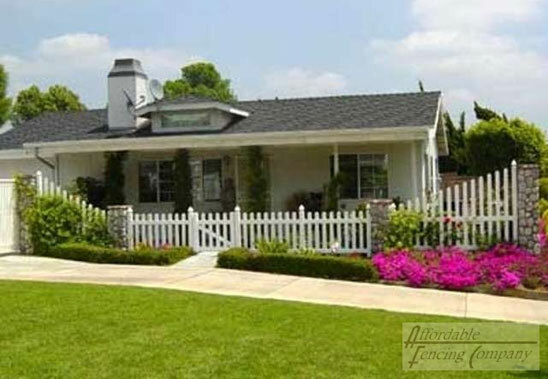 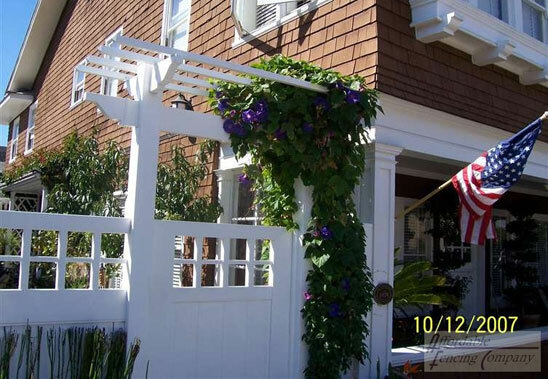 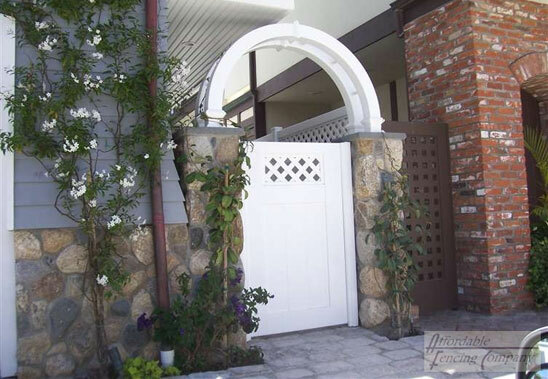 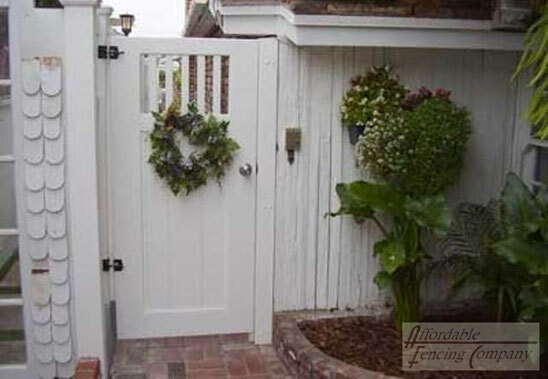 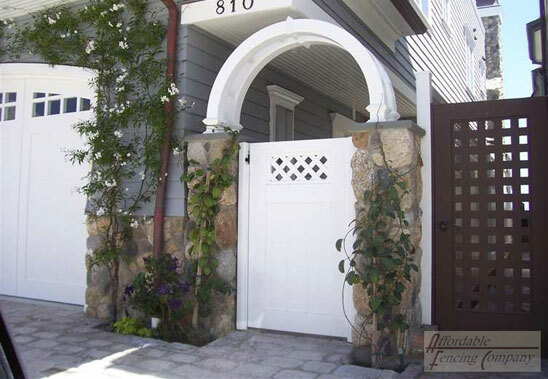 This classic white aluminum fence in Riverside, CA serves as a simple wall topper for this homeowner's block wall. 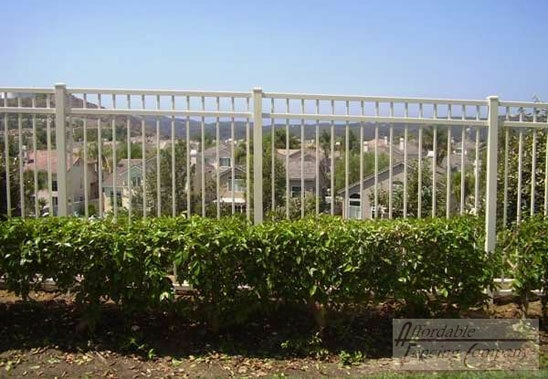 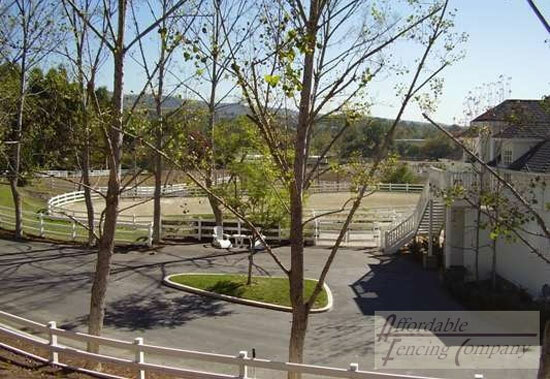 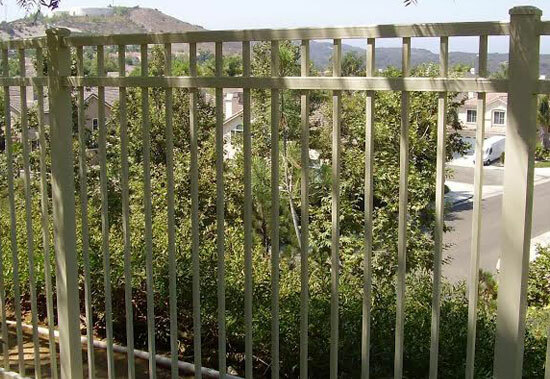 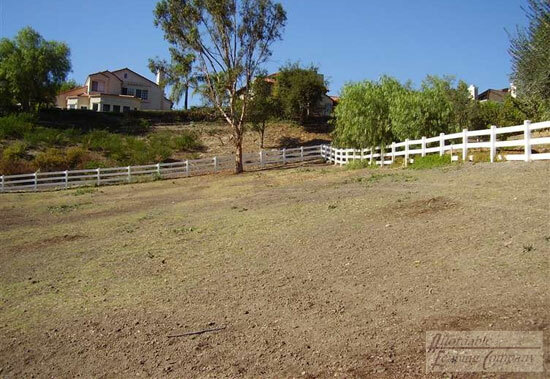 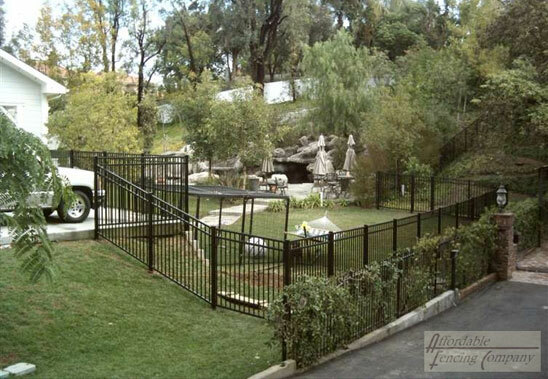 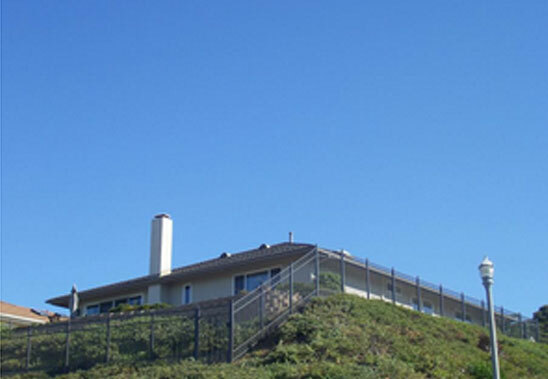 This aluminum fence in Temecula, CA was made to separate property lines while maintaining the view. 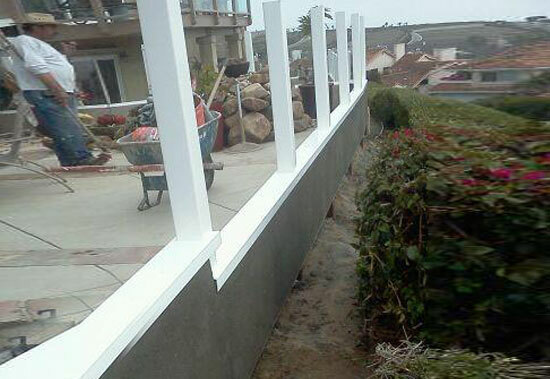 This residential glass wall topper we installed in Temecula, CA helps keeps things out of this customer's yard while maintaining his view. 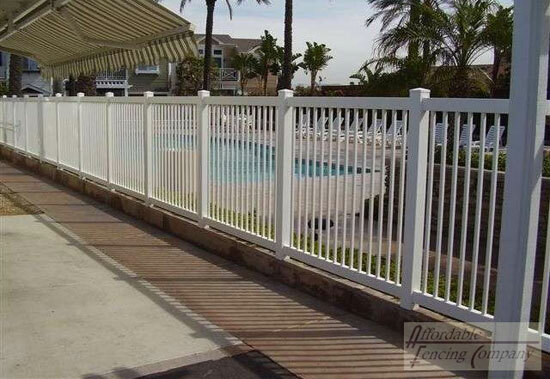 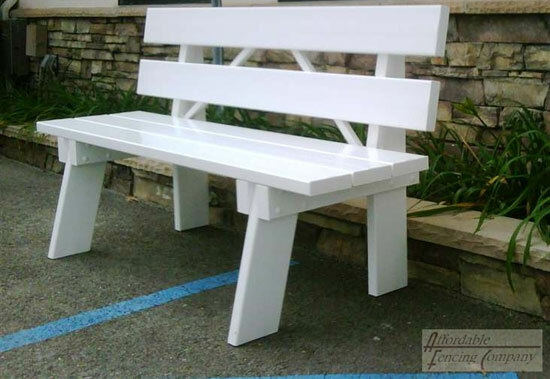 This commercial pool fence installation in Temecula, CA included white commercial grade aluminum that matched with the chairs in the resort's pool area. 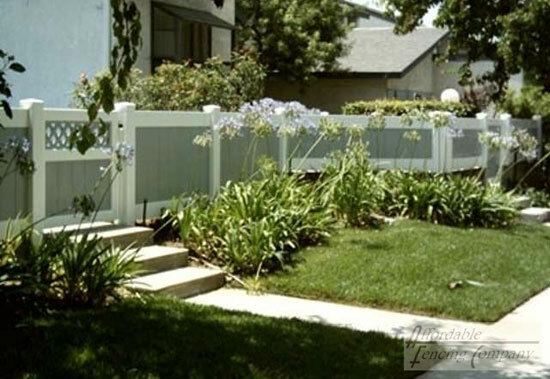 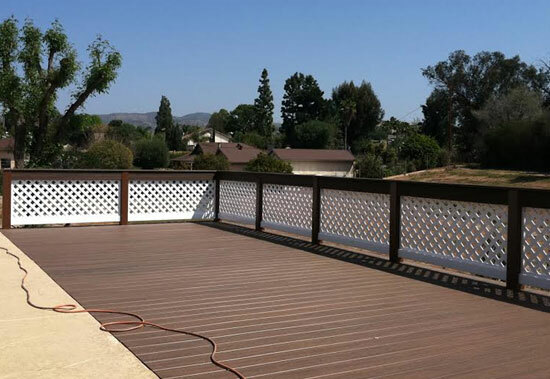 Affordable Fencing installed this vinyl and wood lattice semi privacy handrail in Temecula, CA. 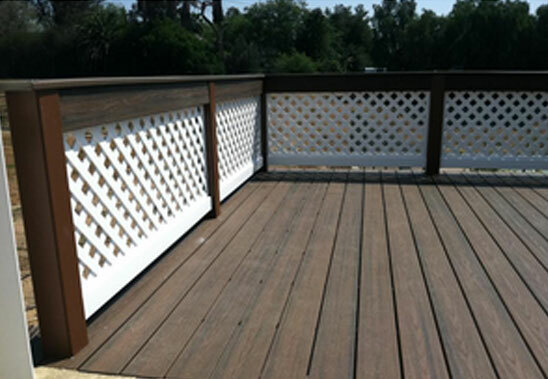 This customer combined an intricate lattice design with wood for a more detailed rail. 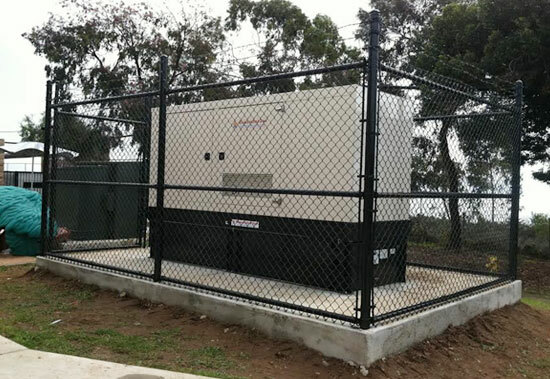 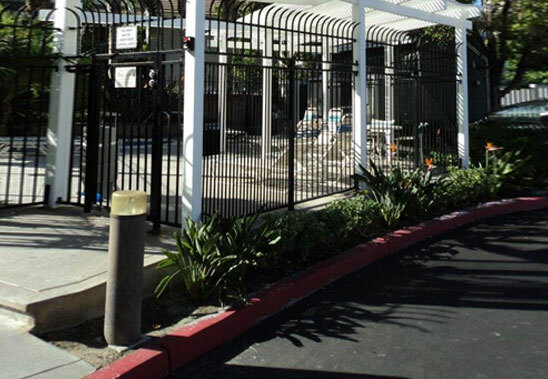 We installed this 8 ft high chain link security fence in Temecula, CA during a commercial fence installation for a client who needed an enclosure to keep people out. 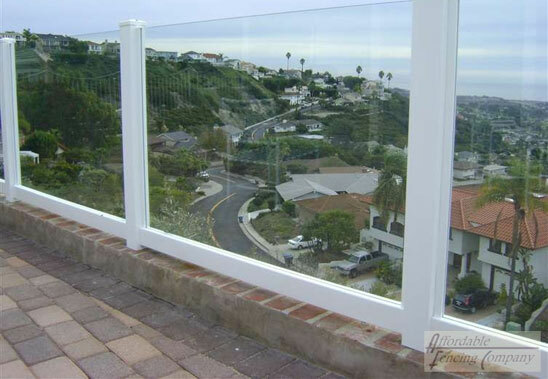 We installed this glass wall topper in Temecula, CA for a customer who wanted a wall topper to protect his yard while maintaining its beautiful view. 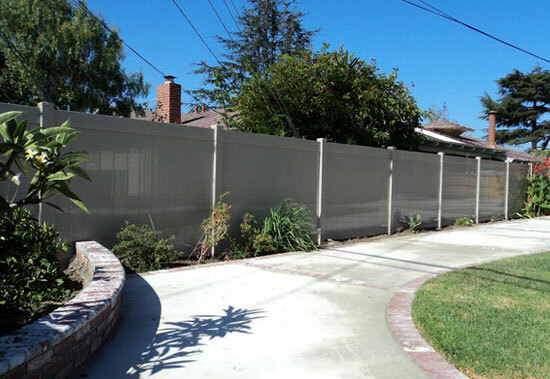 We installed this privacy vinyl fence in Rancho Cucamonga, CA for a client who wanted a basic vinyl fence to serve as a wall between their neighbors. 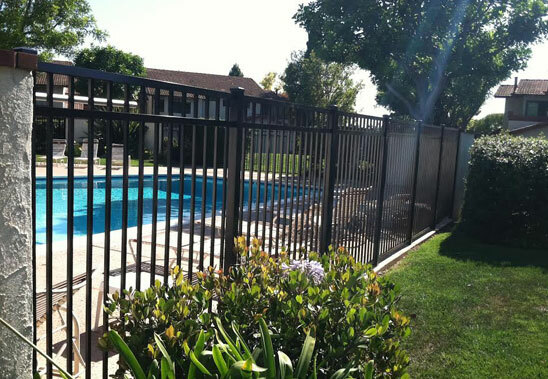 Affordable Fencing installed an aluminum fence around the perimeter of this pool in Riverside, CA to meet pool safety regulations. 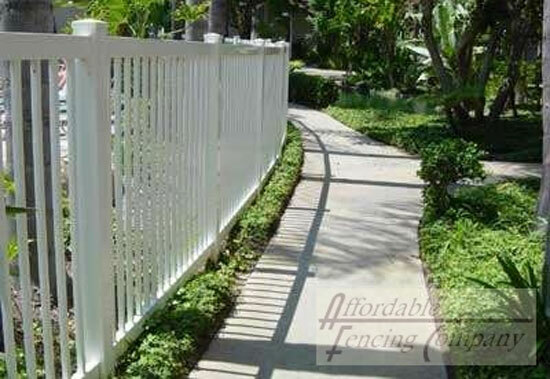 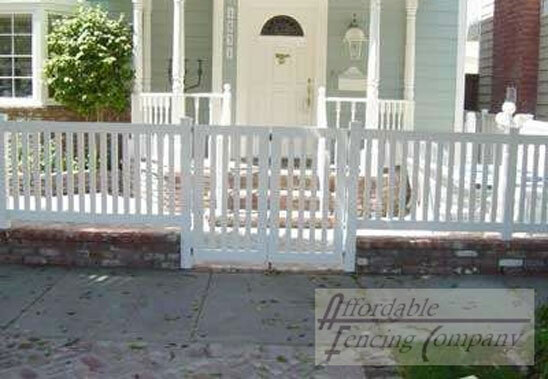 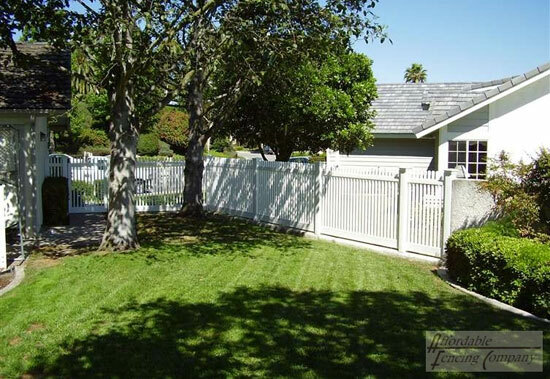 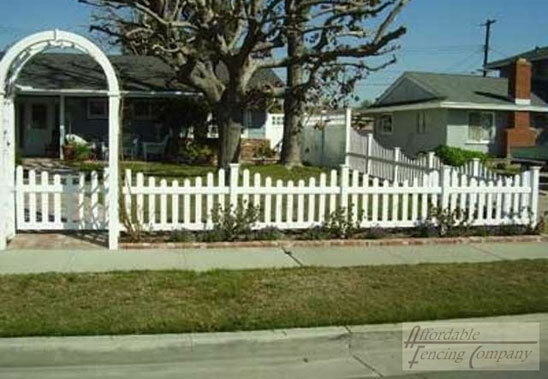 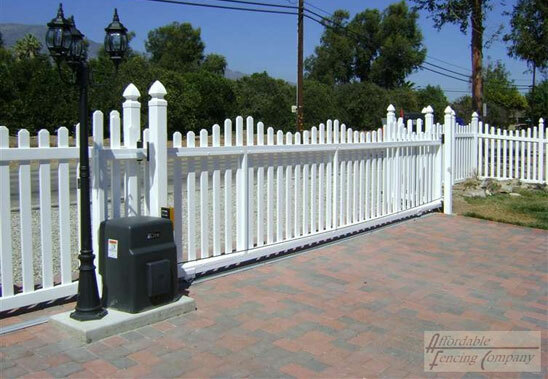 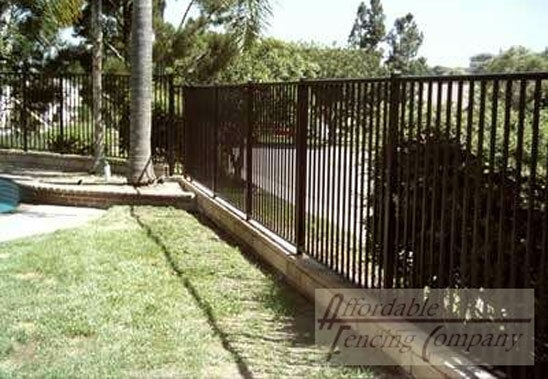 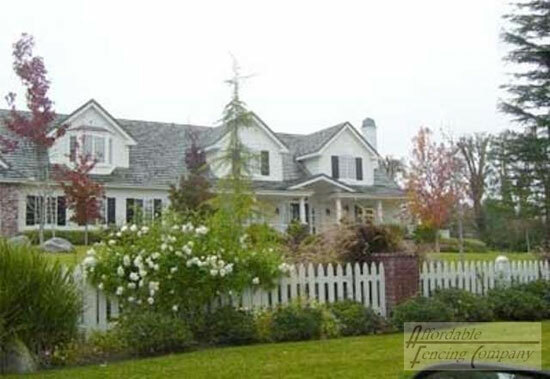 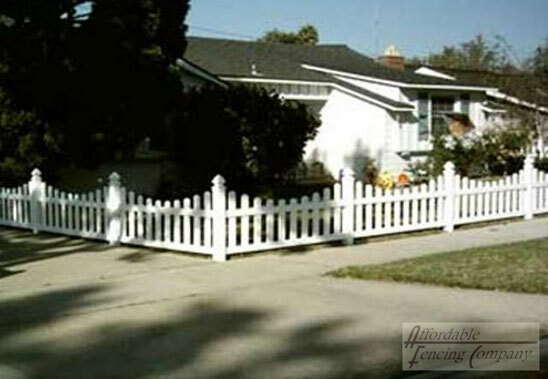 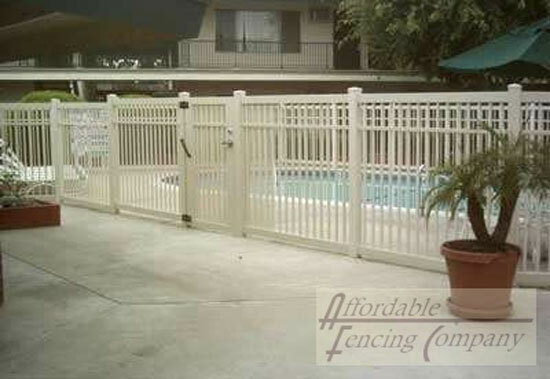 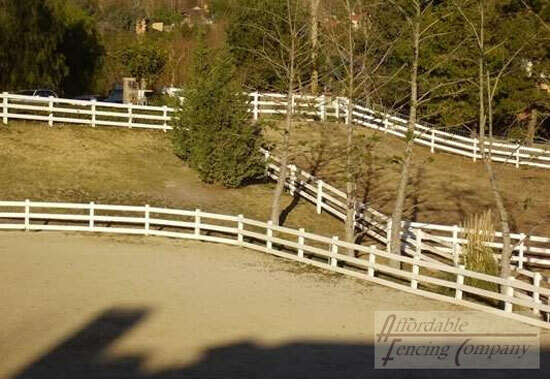 Affordable Fencing installed this aluminum three rail picket fence in Rancho Cucamonga, CA. 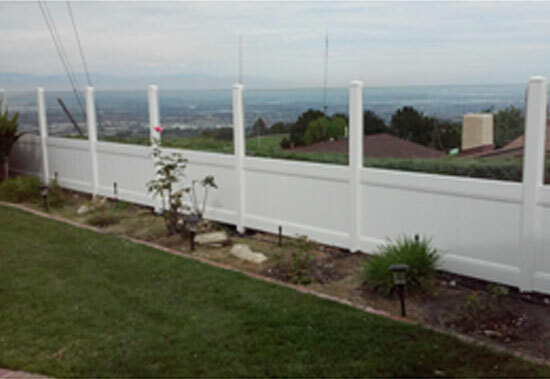 This customer wanted a fence that would segregate their property from their neighbors while still allowing them a view from their hillside home. 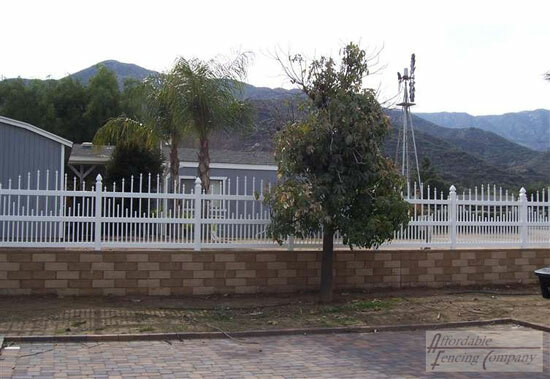 Affordable Fencing installed this vinyl privacy fence in Lake Elsinore, CA for a homeowner who wanted a fence to make their yard more private. 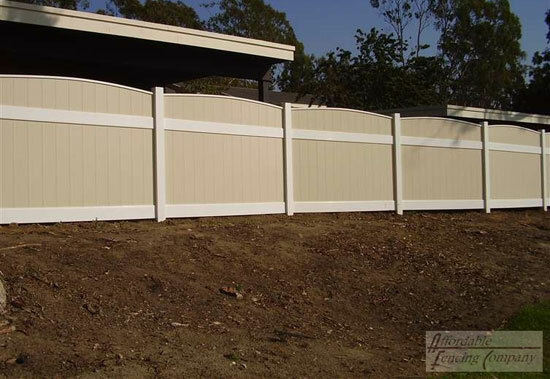 Vinyl fences don't need to be painted, making maintenance easy for homeowners. 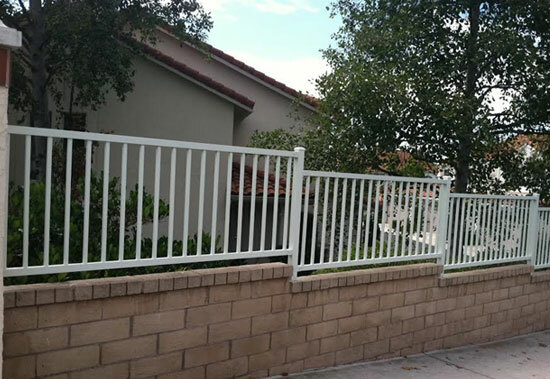 We completed this residential fence installation in Rancho Cucamonga, CA for a customer who wanted a fence that would provide complete privacy. 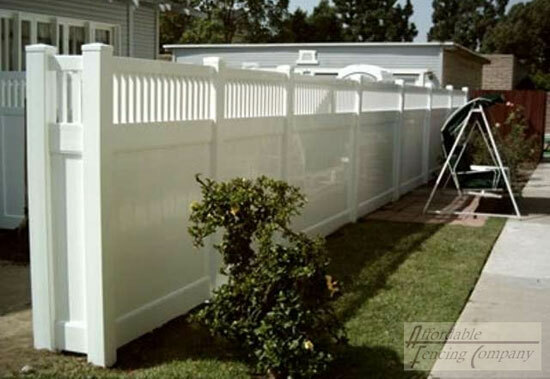 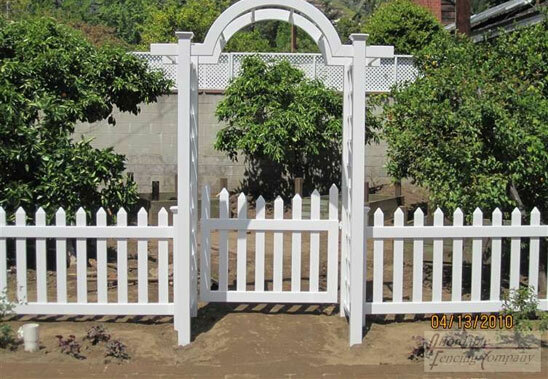 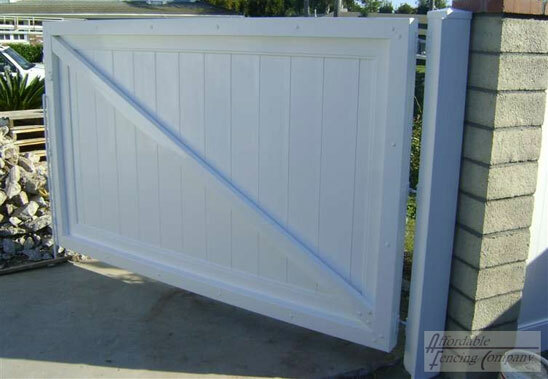 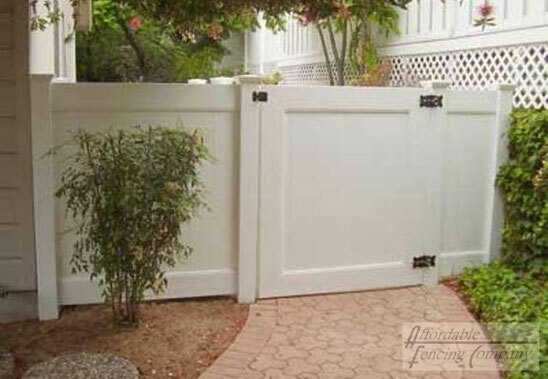 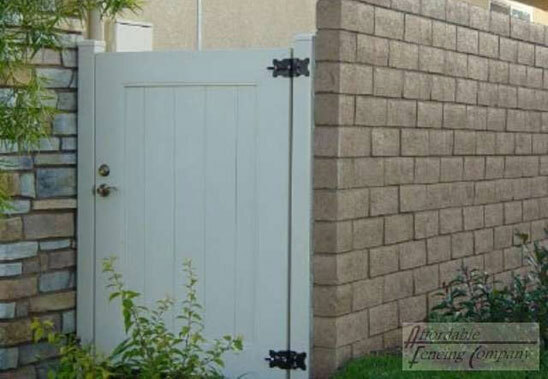 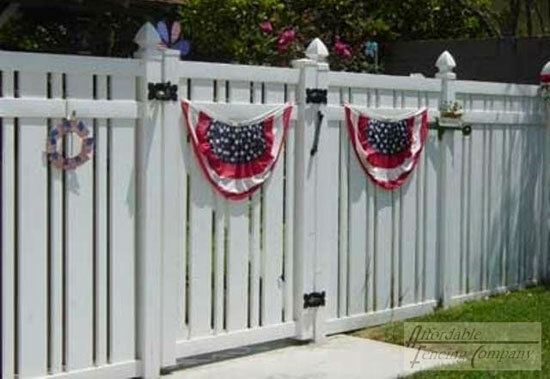 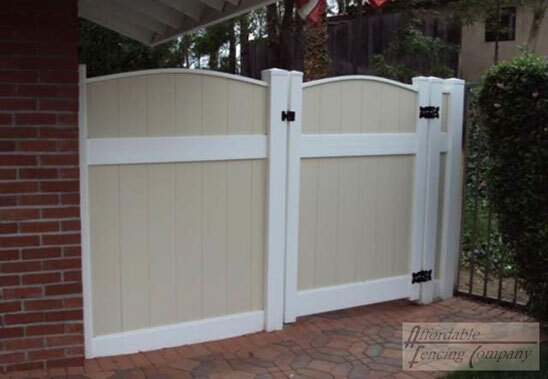 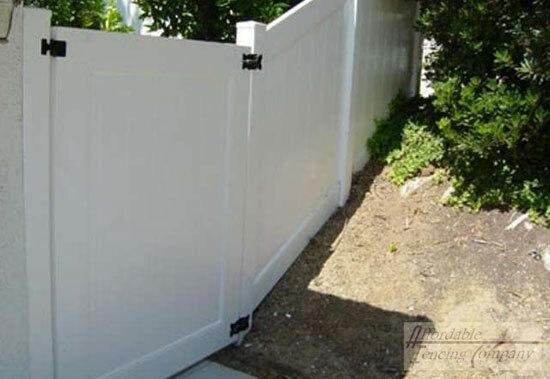 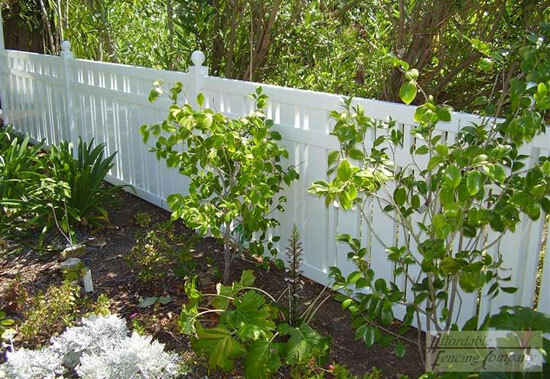 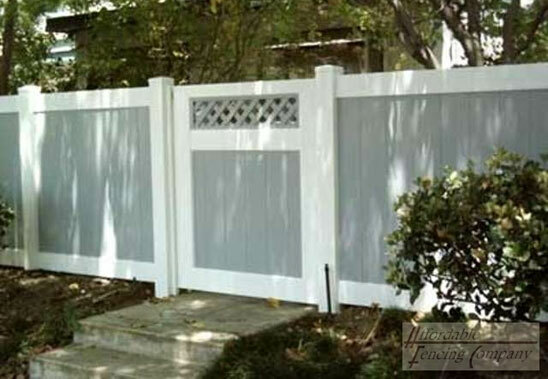 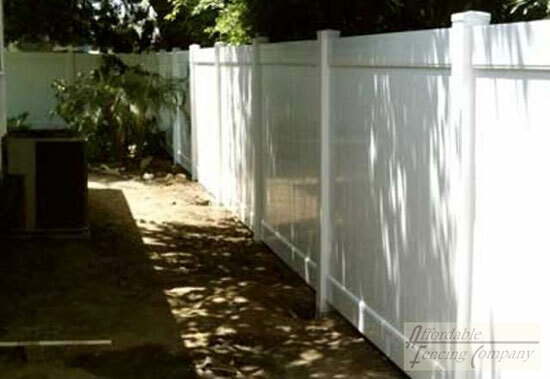 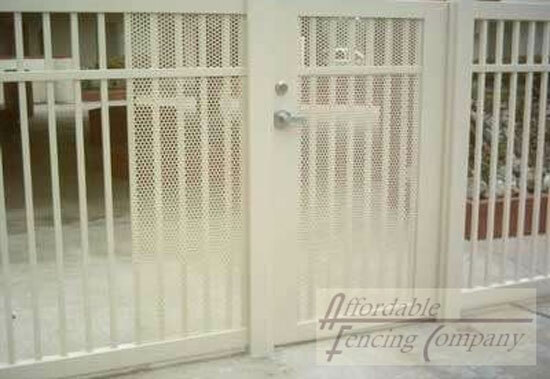 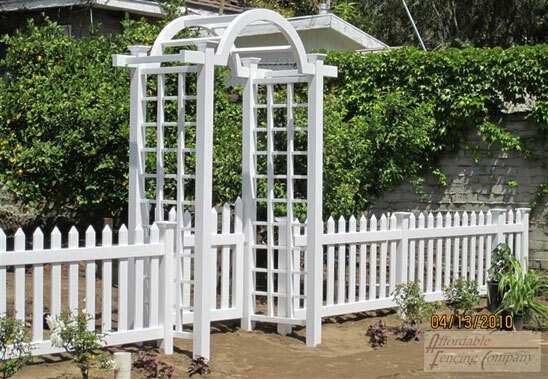 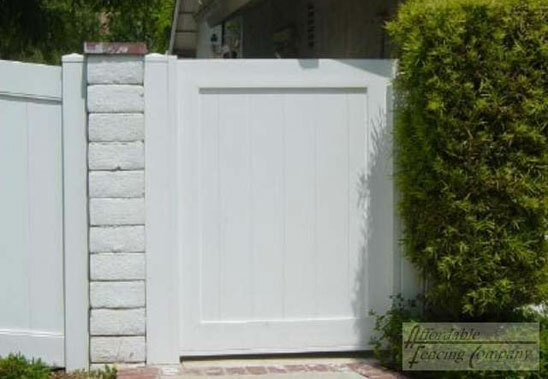 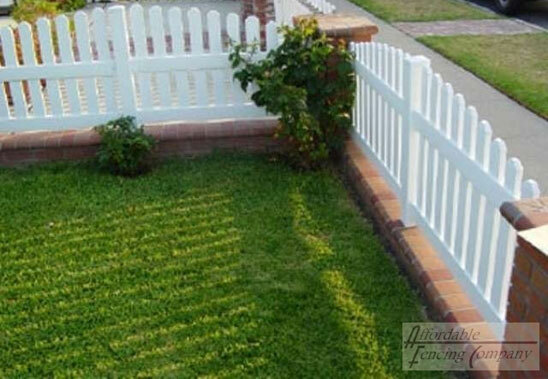 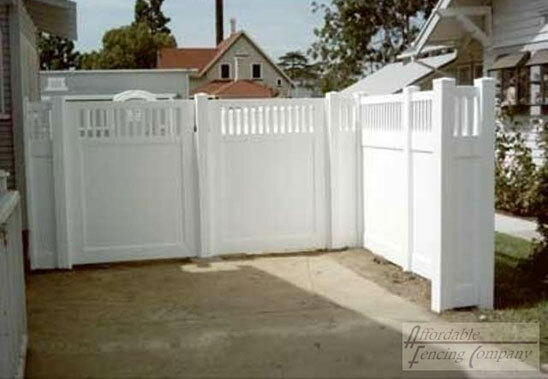 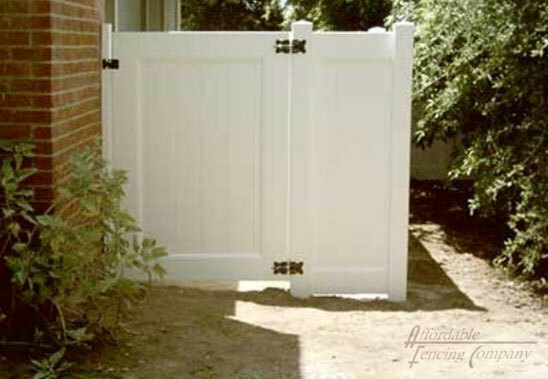 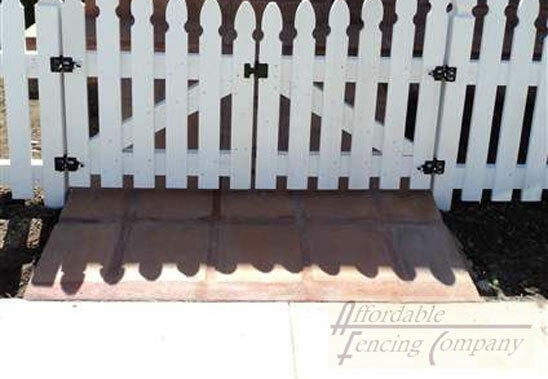 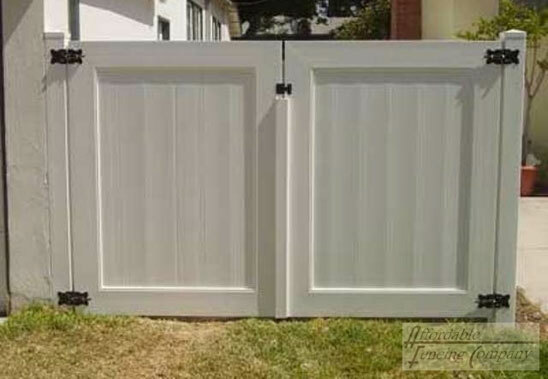 This simple solid white vinyl privacy fence fulfills the customer's requirements and gives the yard a classic feeling. 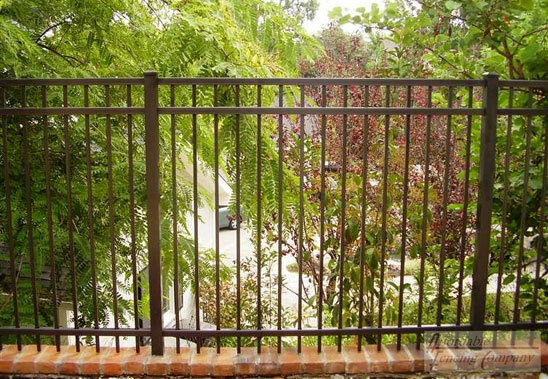 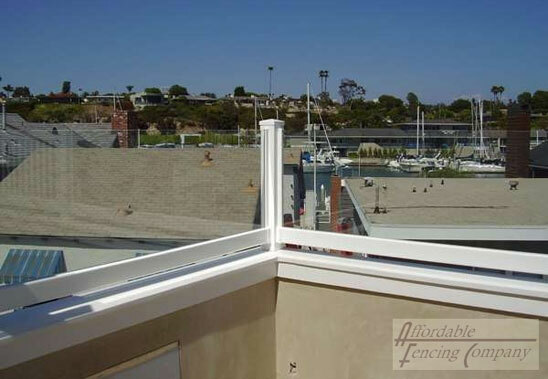 We completed this residential handrail installation in Temecula, CA for a customer who wanted a detailed rail. 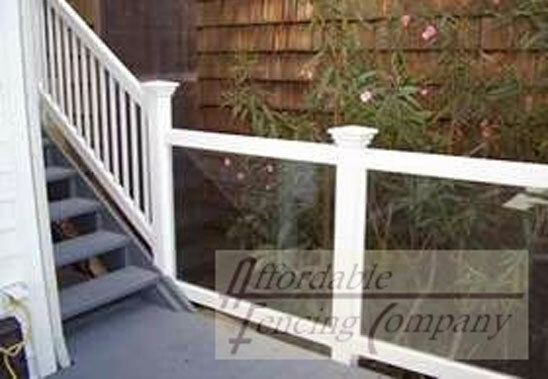 This lattice semi privacy handrail is made out of vinyl and wood to give it an extra pop of color. 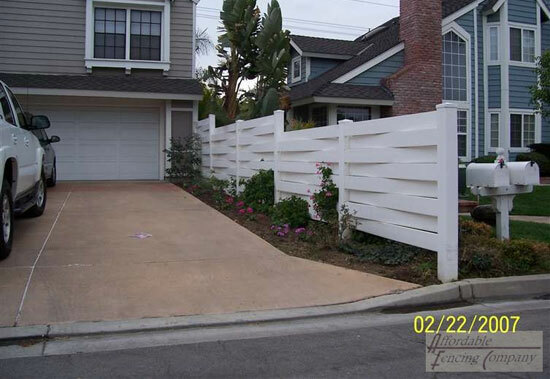 Affordable Fencing installed this custom wood fence in Riverside, CA for a client who wanted a unique fence for the front of their home. 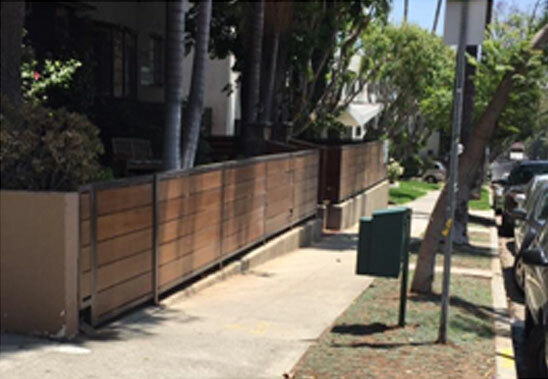 This residential fence installation features a mix of wood and aluminum. Affordable Fencing installed this residential vinyl fence in Rancho Cucamonga, CA to create a child-safe front yard for a customer whose home was located on a street with lots of traffic. 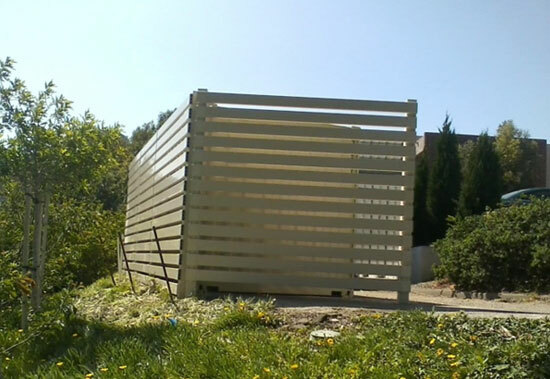 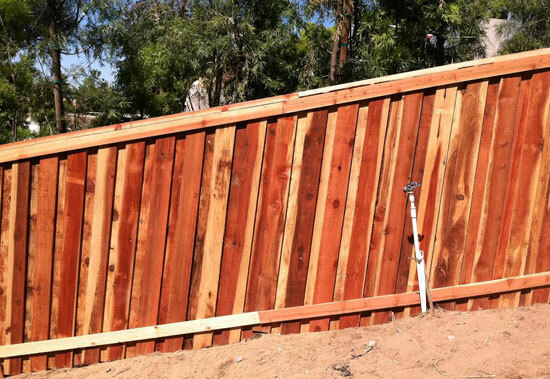 This dog eared wood fence we installed in Temecula, CA was perfect for our client who wanted more privacy. 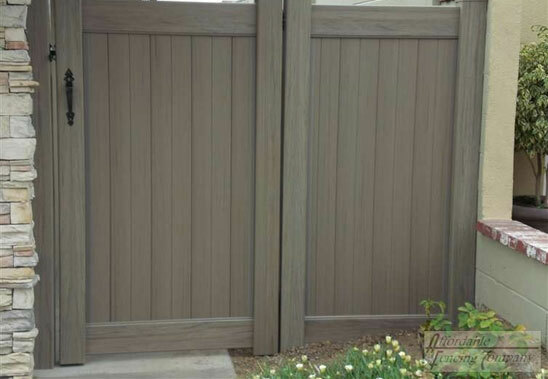 Wood placed like this creates gaps between boards over time. 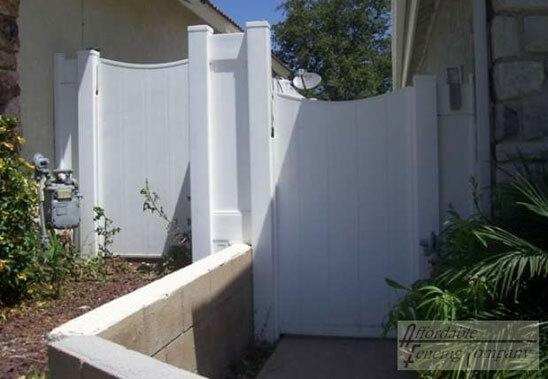 The client liked this for wind purposes and so they wouldn't be completed blocked off from their neighbors. 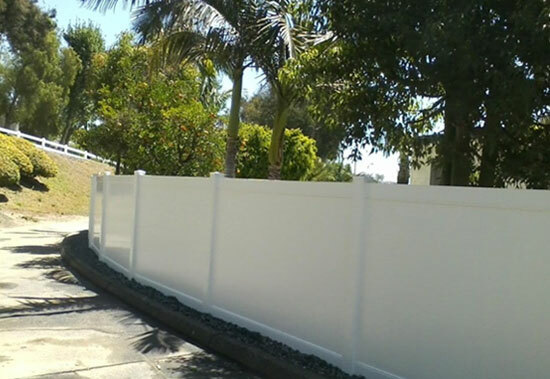 We installed this privacy vinyl fence in Rancho Cucamonga, CA for a homeowner who wanted a simple white fence to match the white accents on their house. 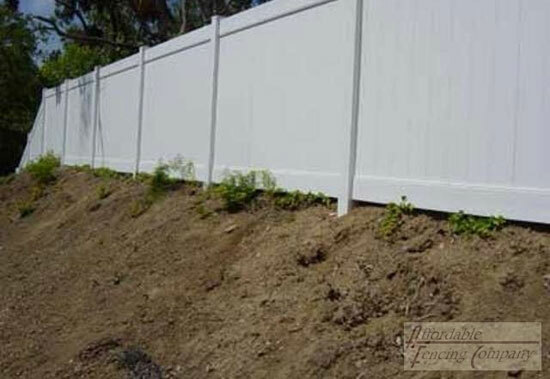 They did not want to level out the ground on the side of their house so we built a fence that slanted in order to be level with the ground. 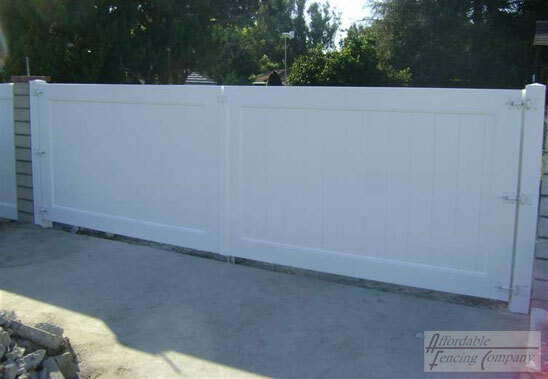 Affordable Fencing installed this privacy vinyl fence in Riverside, CA for a community association that needed a private yet simple fence. 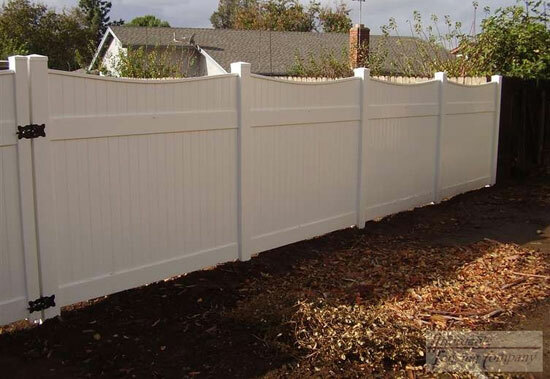 Unlike the old wooden fence it replaced, the new vinyl fence will not need to be repainted over time. 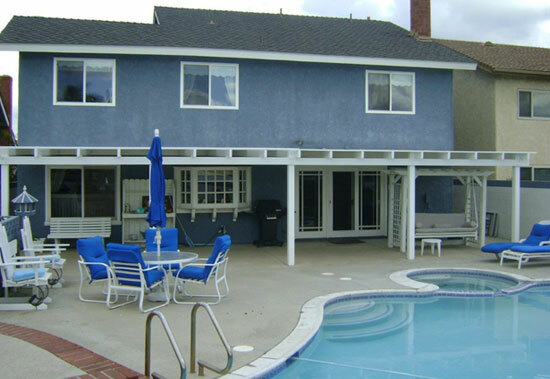 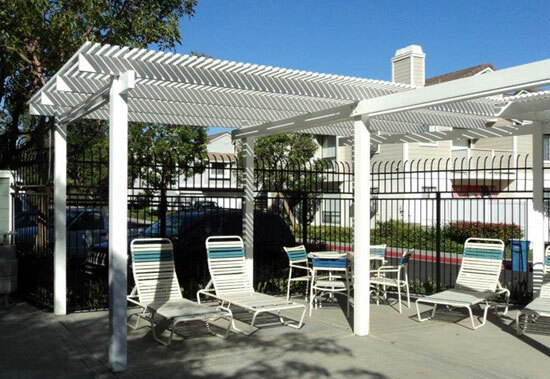 This fifty fifty vinyl patio cover in Corona, CA was installed for a housing association's pool. 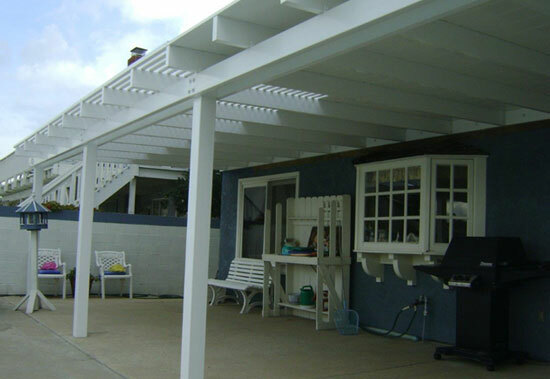 This solid patio cover in Jurupa Valley, CA is made out of aluminum and features scalloped caps. 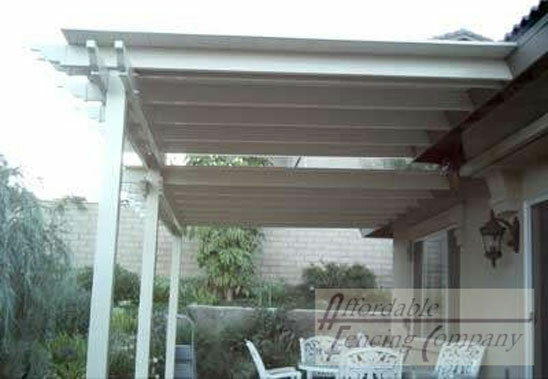 We installed this patio cover in Eastvale, CA. 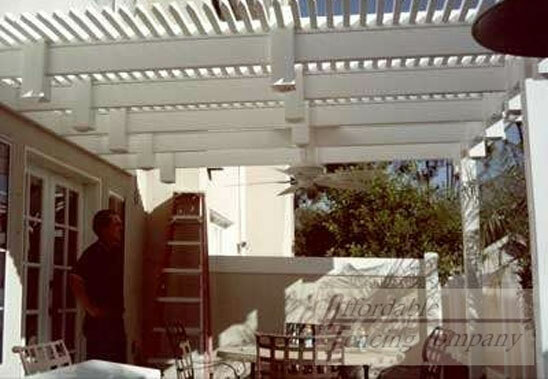 This residential patio cover installation truly completed this backyard. 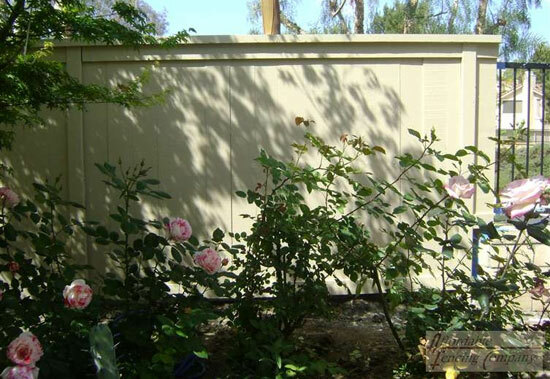 Affordable Fencing installed this solid patio cover and fan in Norco, CA for a customer who wanted full coverage from the sun. 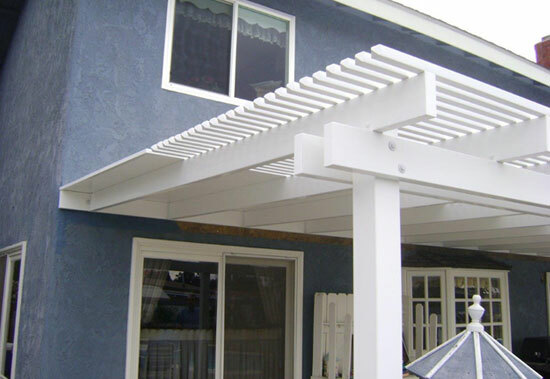 We installed a solid patio cover and fan in Norco, CA for a client that wanted a patio cover that would provide full coverage from the sun. 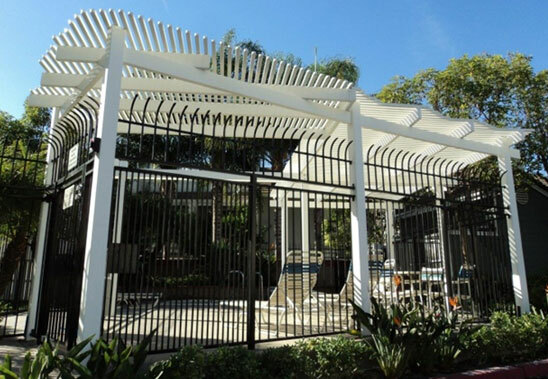 This fifty fifty patio cover installation was completed in Eastvale, CA. 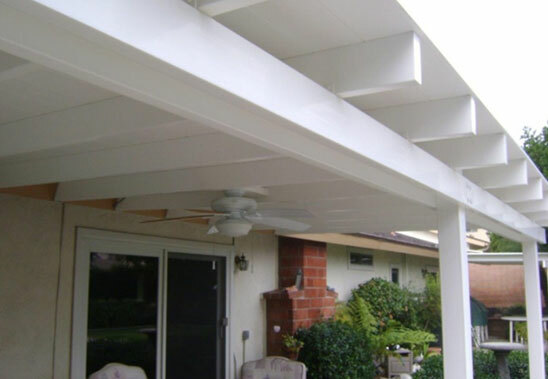 The patio cover is made out of vinyl and offers the homeowner both sun and shade. 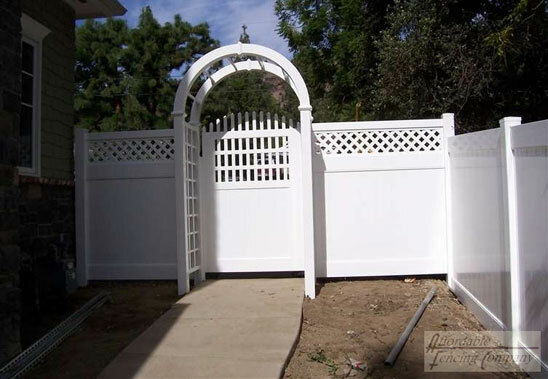 Affordable Fencing Company installed a vinyl solid and lattice patio cover in Riverside, CA for a homeowner who wanted a patio cover to create shade for their home. 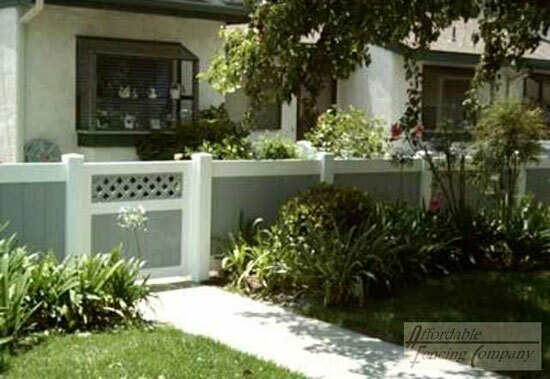 This is a solid and lattice patio cover in Riverside, CA. 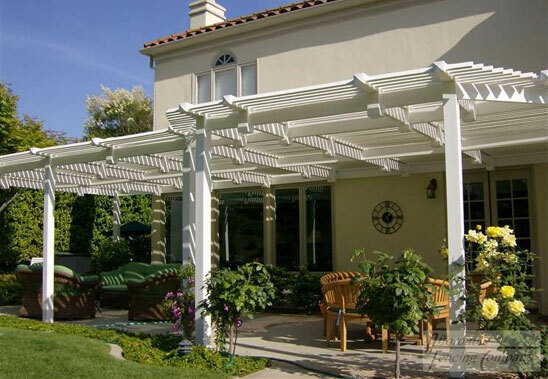 This residential patio cover is made out of white vinyl to match the rest of the home's white accents. 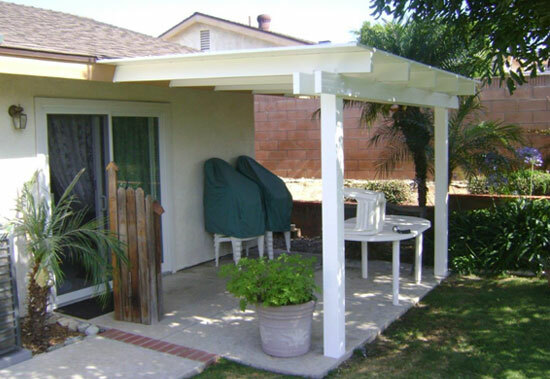 We installed this vinyl patio cover in Corona, CA. 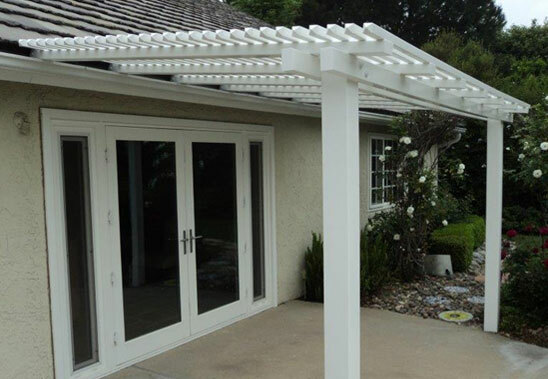 The new patio cover installation features white vinyl and comes in the fifty fifty style and offers both sun and shade. 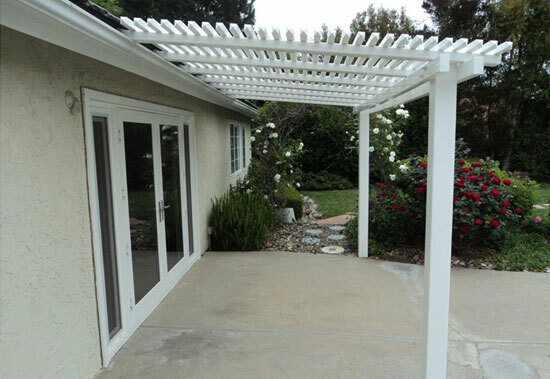 We installed this solid patio cover with lattice in Riverside, CA. 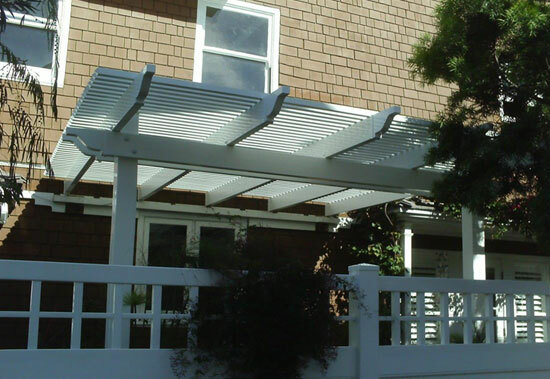 The residential vinyl patio cover installation gave the homeowner the exact amount of shade and sunlight they wanted. 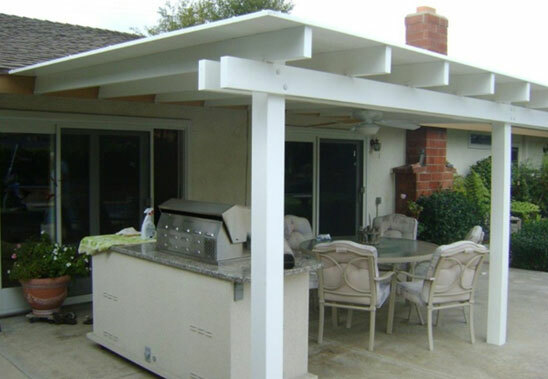 A client in Temecula, CA wanted a vinyl patio cover with a fan for when it's hot and lights for nighttime use. 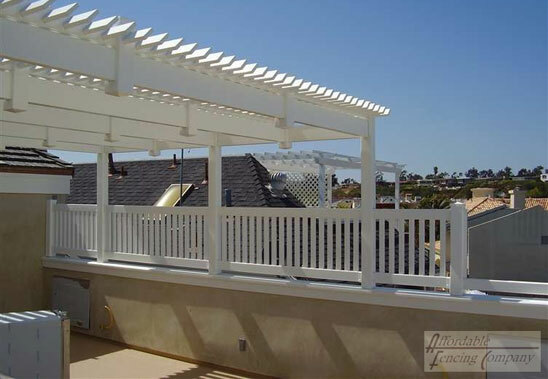 The added features allow our client to maximize the use of their patio cover. 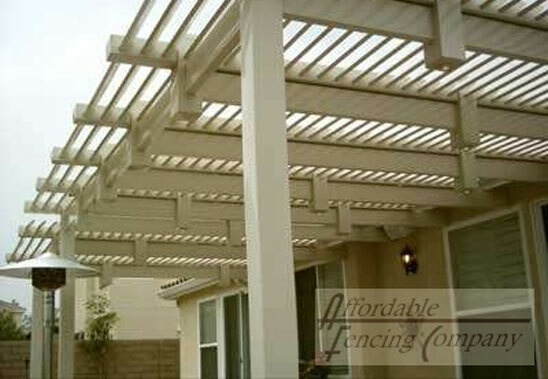 Affordable Fencing completed this residential vinyl patio cover installation in Eastvale, CA. 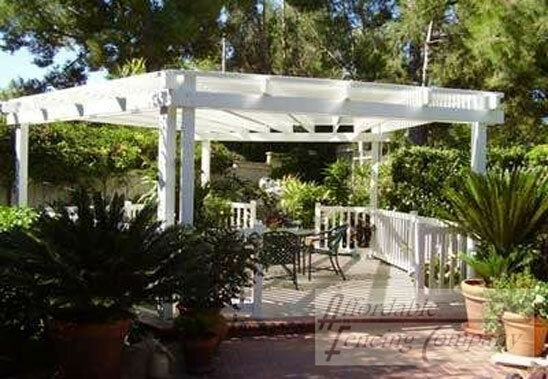 The patio cover adds visual appeal to the homeowner's backyard. 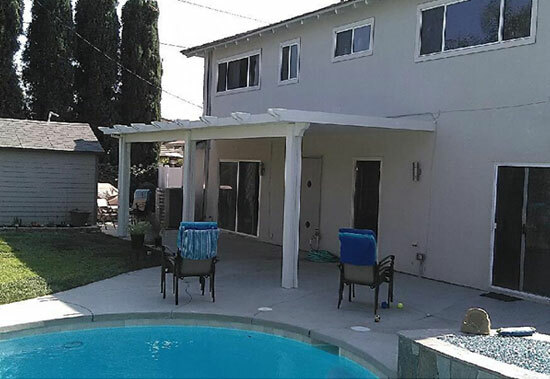 We installed this fifty fifty patio cover in Eastvale, CA for a client who wanted a patio cover to create shade and reduce the sunlight coming into the area of their house right by their double glass door. 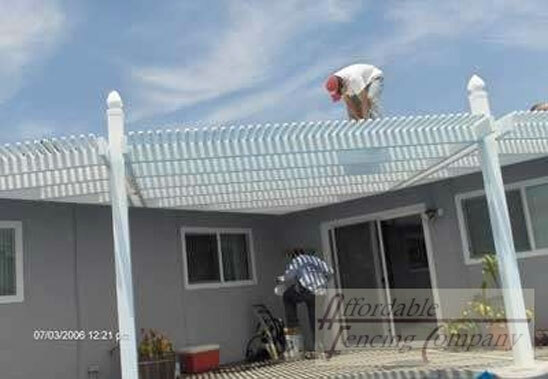 Affordable Fencing installed this aluminum patio cover with scalloped caps in Jurupa Valley, CA. 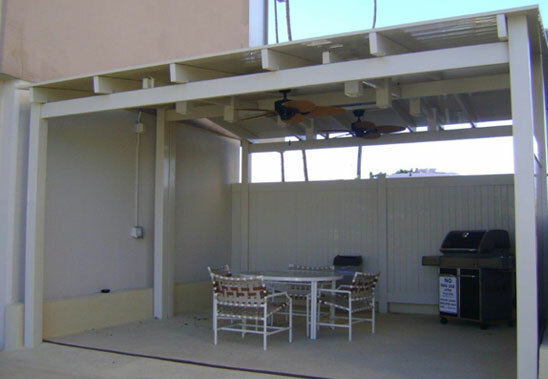 The solid patio cover offers full coverage so the homeowners can sit in their backyard during the heat or rain. 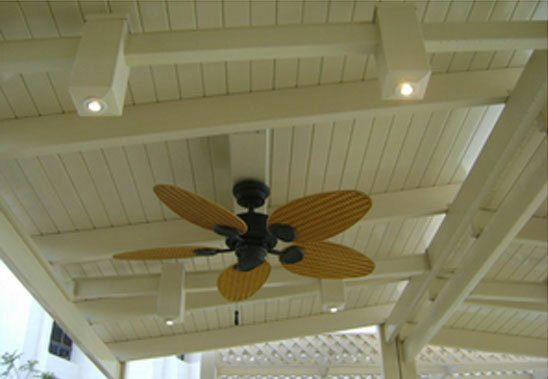 Adding a fan during a solid patio cover installation allows homeowners to ensure a cool area in the warmer months of the year. 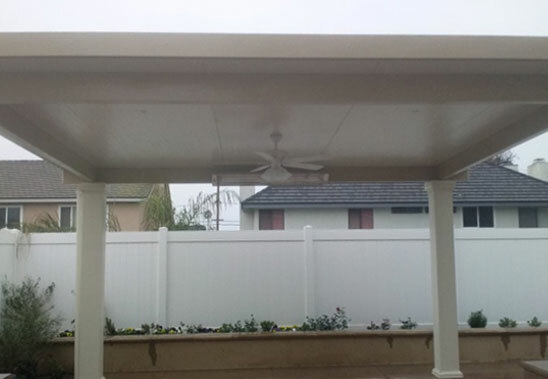 This white vinyl patio cover in Norco, CA features a matching white fan. 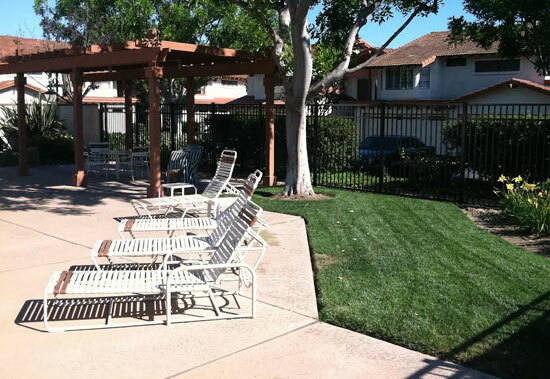 The manager of this housing association in Corona, CA wanted a patio cover for an area close to the pool where residents could relax. 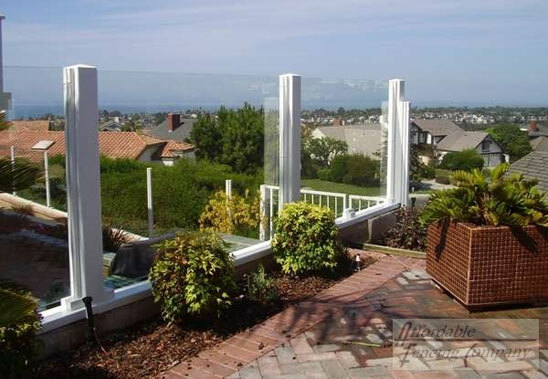 They chose a fifty fifty patio cover to allow for both shade and sunlight. 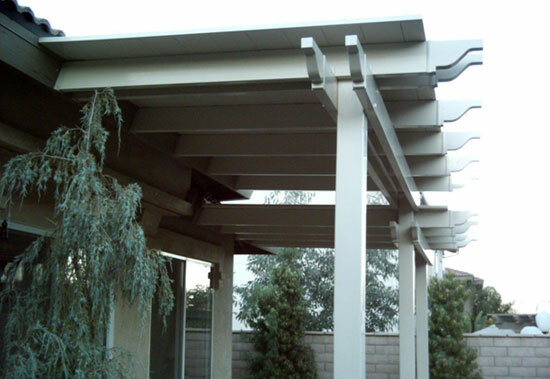 This residential vinyl patio cover installation in Murrieta, CA features a fifty fifty patio cover with pergola caps. 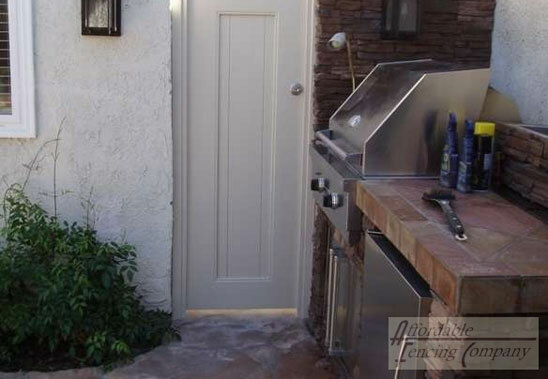 The homeowner wanted more shade above their backyard door and windows. 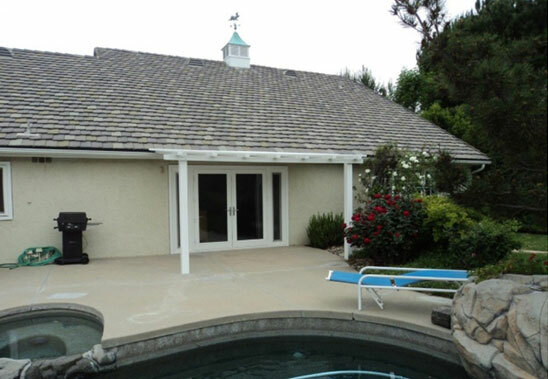 This homeowner wanted a small solid patio cover for their Lake Elsinore, CA home. 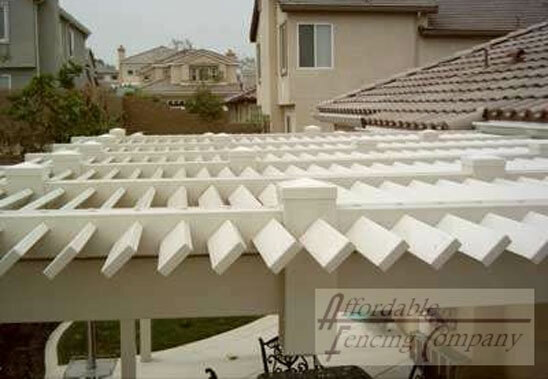 The vinyl patio cover will provide their backyard with complete coverage from the sun as well as some rain coverage in the early months of the year. 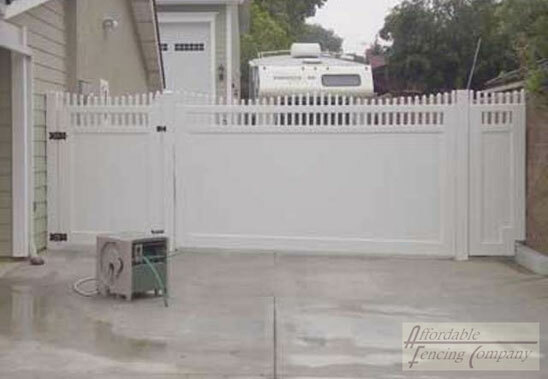 This homeowner in Norco, CA had Affordable Fencing install a solid patio cover and fan in their outdoor deck area. 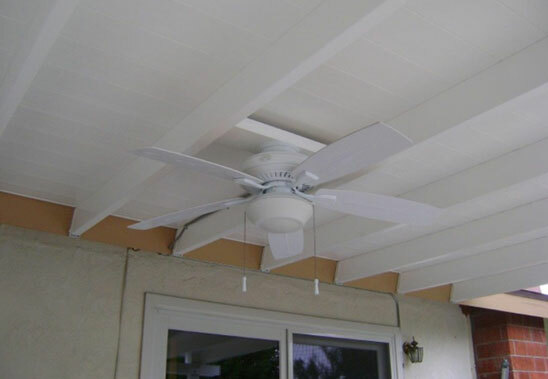 They added a fan to ensure their patio would be cool during the warmer months of the year. 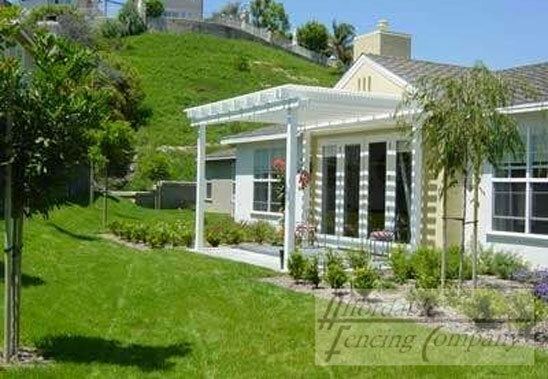 Affordable Fencing installed this fifty fifty vinyl patio cover in Chino Hills, CA. 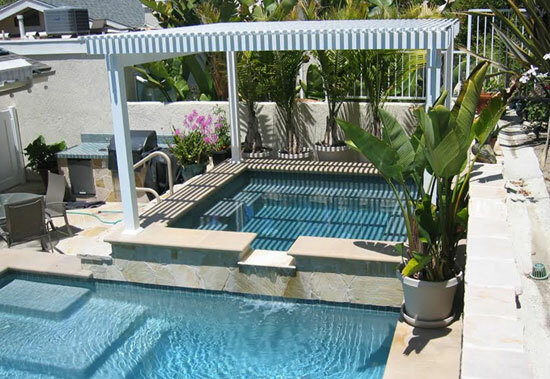 The patio cover installation was for a homeowner who wanted to emphasize their pool area and create some coverage without completely blocking out the sun. 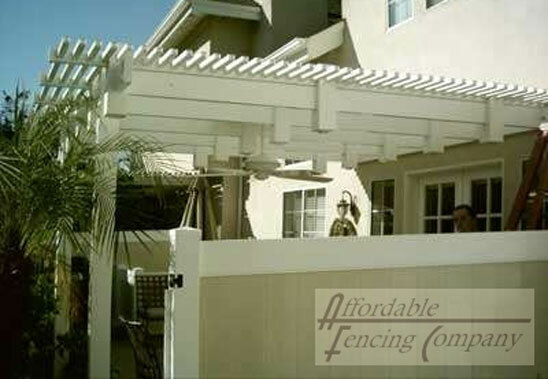 Affordable Fencing installed this solid patio cover with pergola caps in Lake Elsinore, CA. 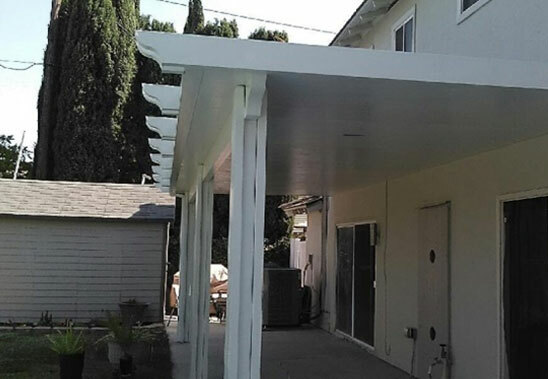 The residential vinyl patio cover installation was completed at the request of a client who wanted two sections of patio cover to match two different heights of their house. 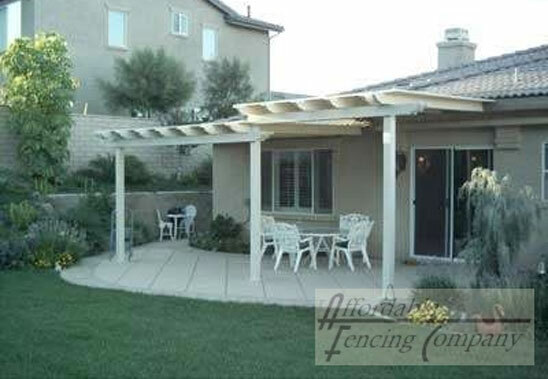 Affordable Fencing Company completed this residential patio cover installation in Rancho Cucamonga, CA for a homeowner who wanted an enclosed patio area. 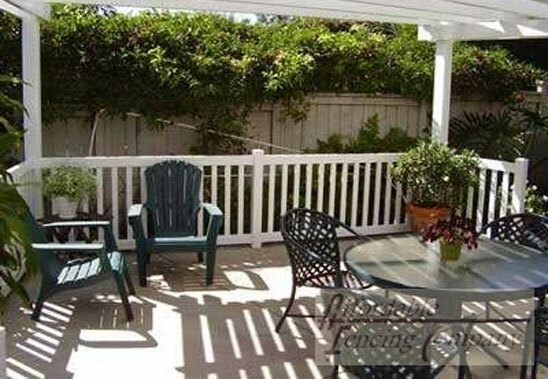 The solid patio cover is made from almond vinyl and features two fans to keep the enclosed area cool. 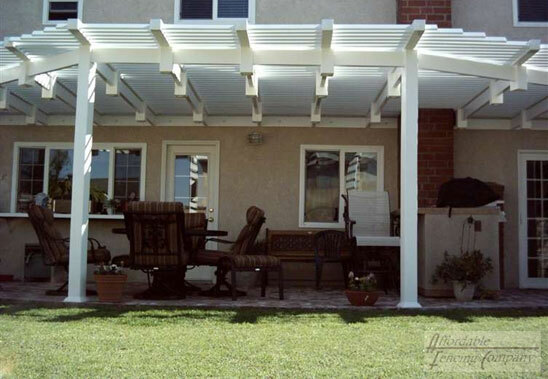 We installed a fifty fifty patio cover and fan in Rancho Cucamonga, CA. 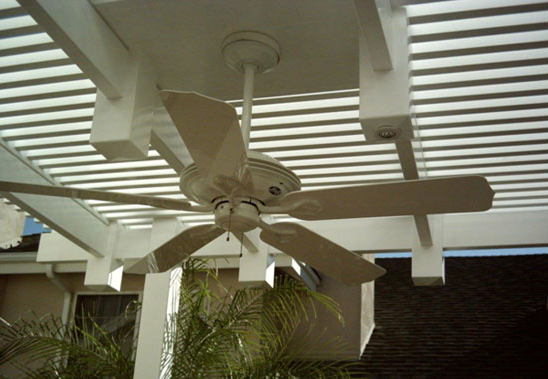 The vinyl patio cover will block out most of the sun as well as create a new air flow with the fan. 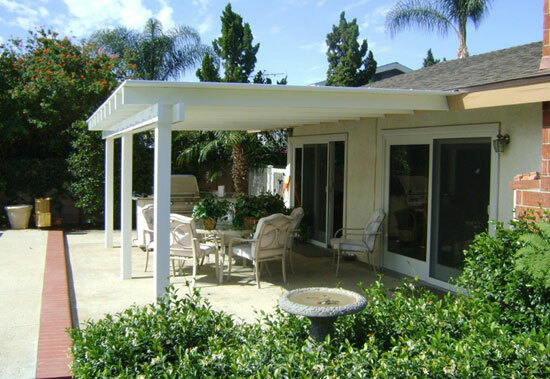 After this residential patio cover installation, the homeowners were able to enjoy their new backyard patio and shade. 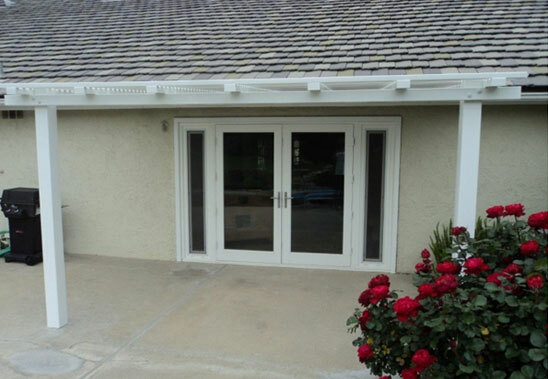 This residential vinyl patio cover installation in Chino Hills, CA features a louvered style patio cover with lights. 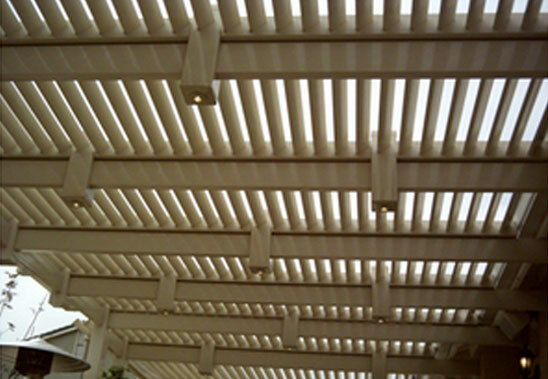 The louvered vinyl is slanted so it directs the sunlight toward a certain place depending on the time of day. 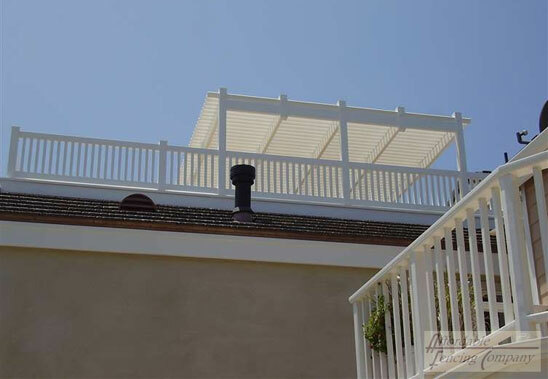 This client wanted unique coverage for their backyard and this almond color louvered patio cover perfectly met their needs.